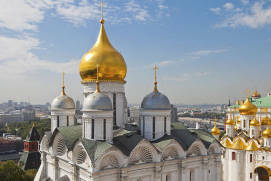 In the past, Russian tsars and their family members used to be buriedin the Kremlin’s cathedrals and churches. 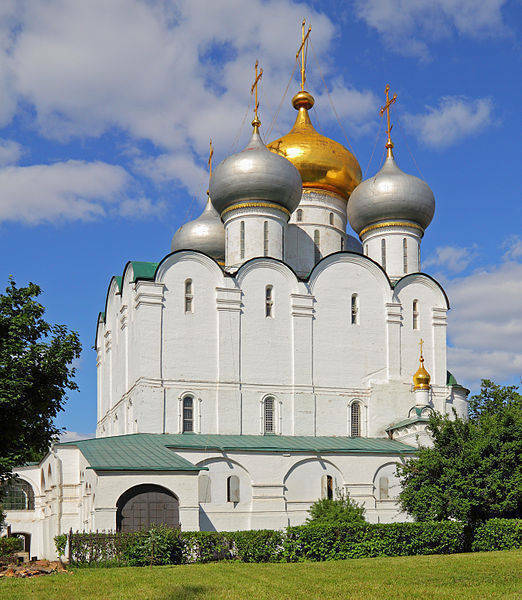 The Kremlin’s Archangel Cathedral was the burial place of many Russian rulers between the 14thand 17th centuries. 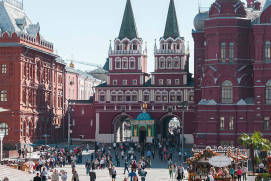 Following the Russian revolution of 1917,Red Square became the resting place of outstanding revolutionaries, Communist party leaders and army commanders. 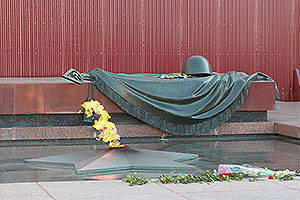 The Kremlin’s best-known burial sites are Lenin’s Mausoleum and the Tomb of the Unknown Soldier. 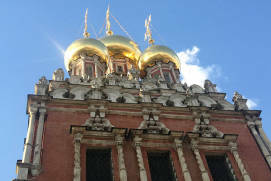 Novodevichy, Vagankovo and Vvedenskoye cemeteries, among others, are popular tourist sites as they hold the tombs of many prominent personalities. 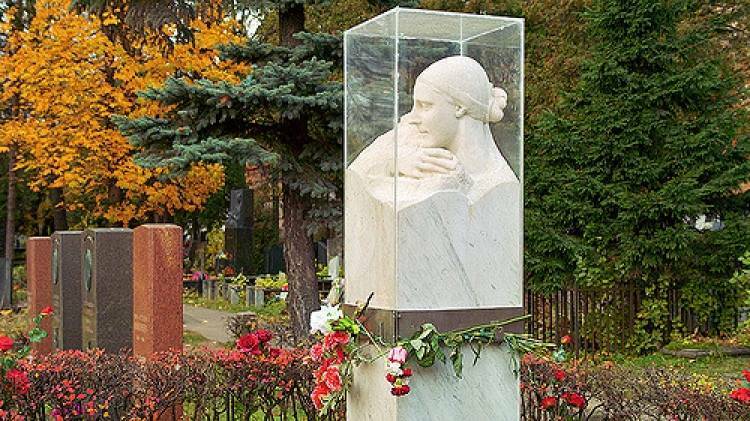 Some tombstones are real works of art. 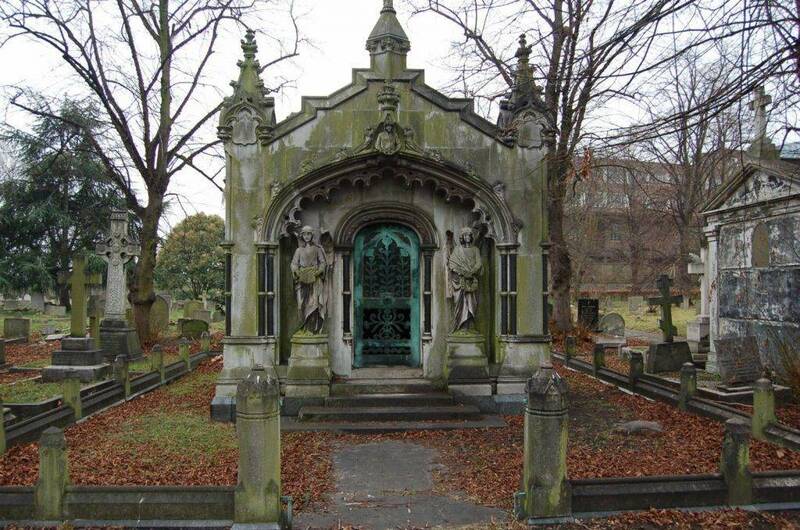 A gloomy aura usually prevails in old cemeteries. 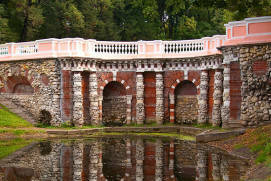 They are sometimes perceived as areas that are not of our world, the world of the living. 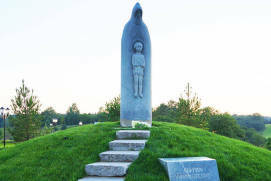 Various cults and legends spring up around this or that grave or site. 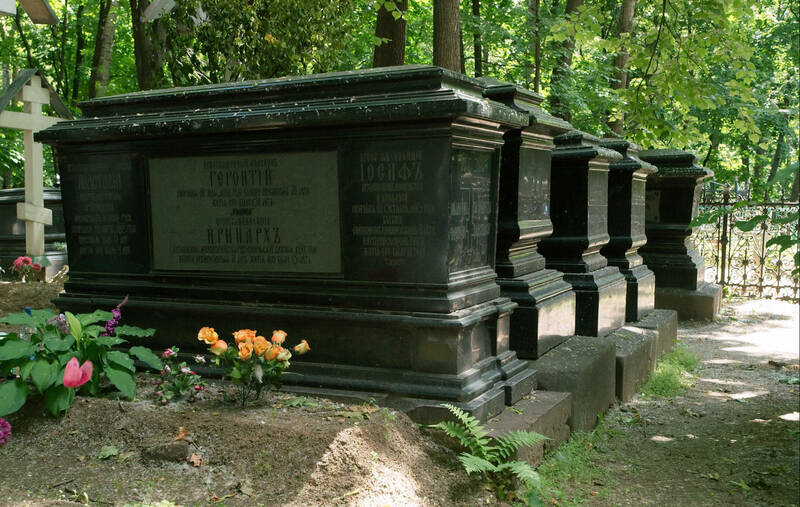 Necropoleis may be of interest to those who look for traces of outstanding historical figures, writers or actors. 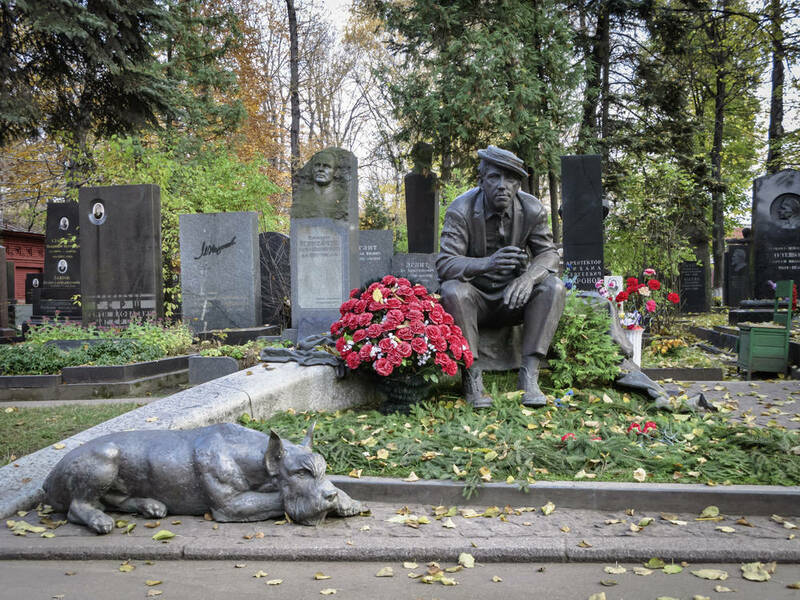 Spaces with an inner logic and, often, a sacred meaning, cemeteries are also special landmarks illustrative of their time. 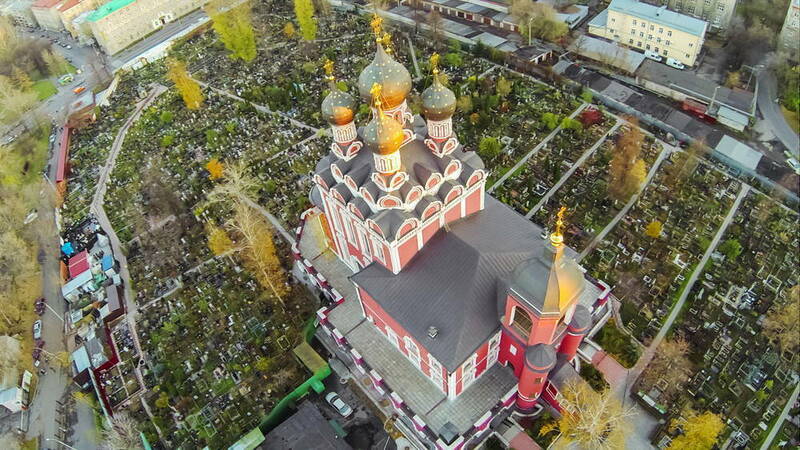 As an example, the Vvedenskoye CemeteryRussian: Vvedenskoe kladbische or Введенское кладбище was initially a burial site for Catholics and Lutherans, while the necropolis of the Donskoy MonasteryRussian: Donskoy monastyr or Донской монастырь was specifically created as a resting place for the nobility. 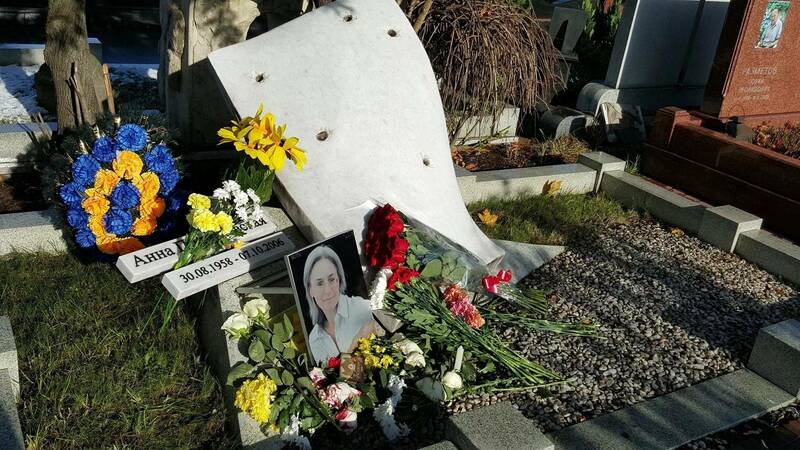 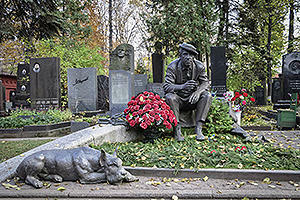 Interestingly, when visiting Moscow’s major landmarks, you will most likely meet some grave along your way . 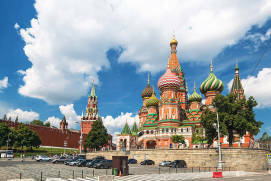 For instance, you can’t miss the MausoleumRussian: Mavzoley or Мавзолей and the graves lined up along the Kremlin wallRussian: Kremlyovskaya stena or Кремлёвская стена on Red Square, the tombstones of Muscovite princes and tsars at the Kremlin’s Archangel CathedralRussian: Arkhangelskiy sobor or Архангельскй собор, or the inner necropolis when on a tour in the Novodevichy ConventRussian: Novodevichiy monastyr or Новодевичий монастырь. 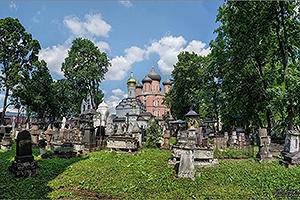 Cemeteries have existed in Moscow for as long as people have lived here. 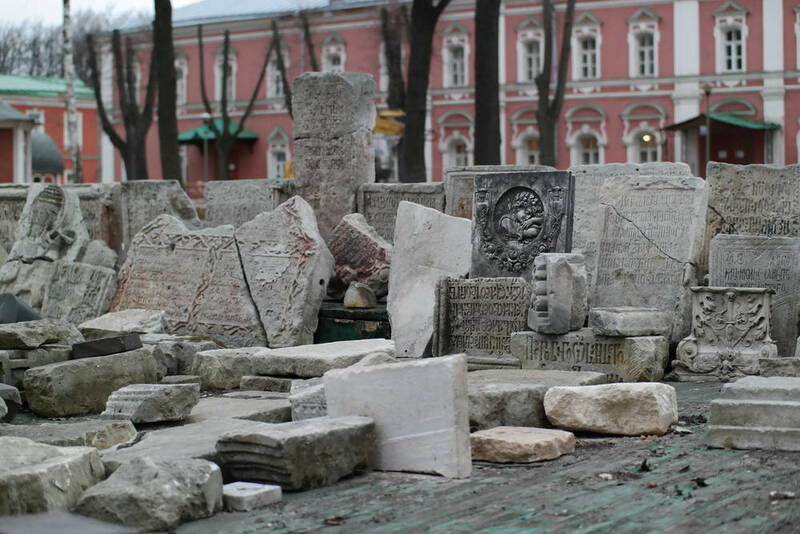 At first, the deceased were buried in parish church and monastery graveyards, but most of such necropoleis came down to us only as archaeological sites. 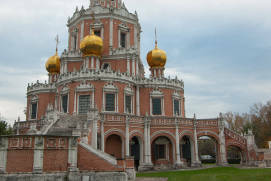 Starting in the mid-17th century, the authorities began to prohibit burials within the city limits to prevent epidemic outbreaks, with the exception of aristocrats, who continued to be buried in monastery necropoleis. 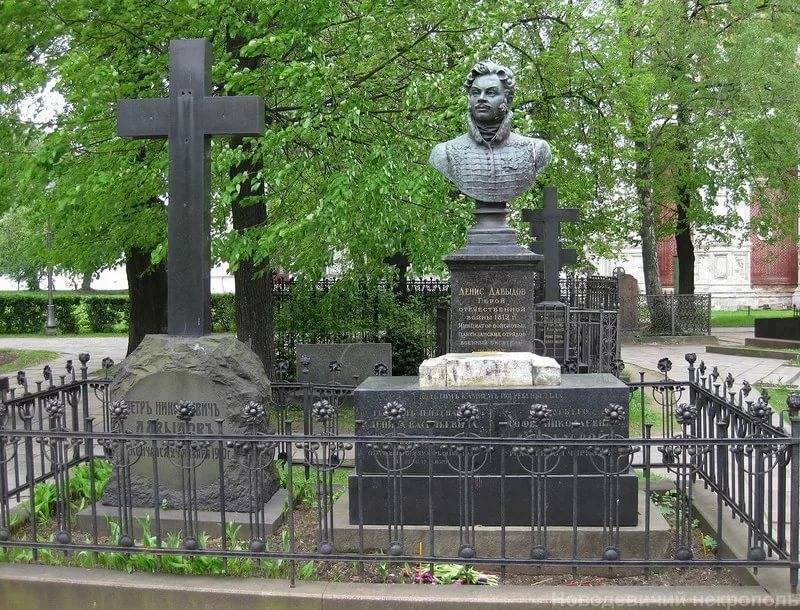 The reason for the ban on city burials became self-evident during a plague epidemic, supposedly brought by Russian soldiers returning home after the Russo-Turkish War of 1771. 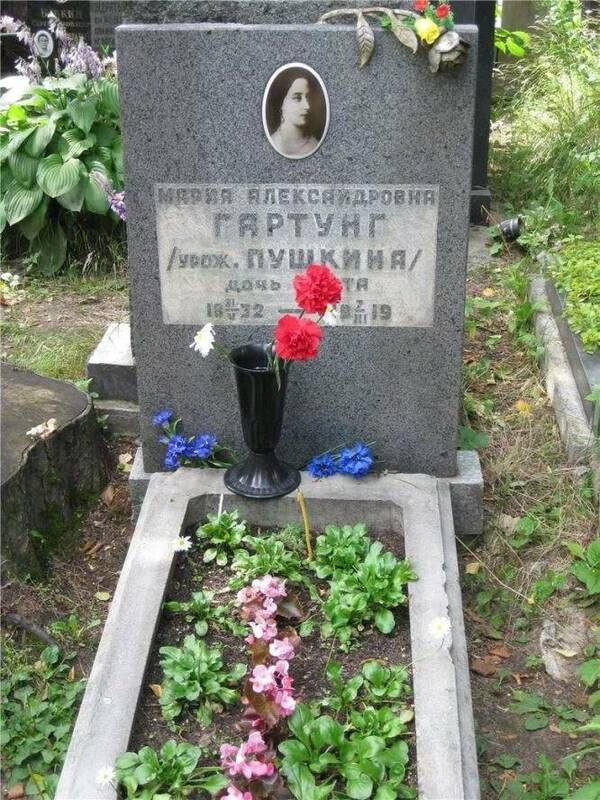 The first municipal cemetery was laid out in Maryina RoshchaRussian: Марьина роща district in the 18th century (closed in Soviet times), and a few other cemeteries appeared in what used to be Moscow’s suburbs. 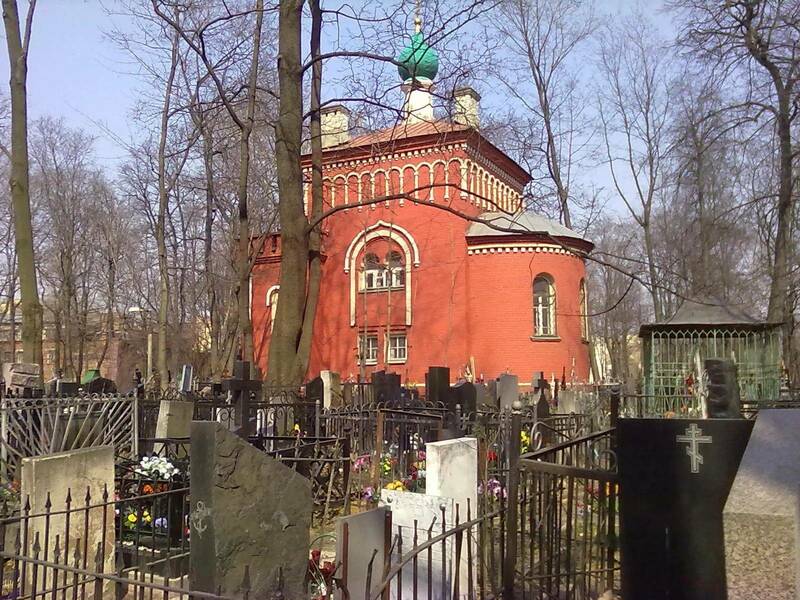 Among the city’s best-known cemeteries is the Vagankovo CemeteryRussian: Vagankovskoe kladbische or Ваганьковское кладбище, especially popular during the Soviet era. 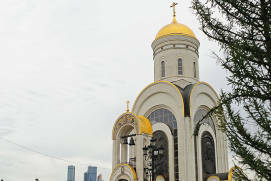 Another important and dramatic period in the history of Moscow’s burial sites is associated with the 1930s, a period marked by the Bolshevikmembers of a wing of the Russian Social-Democratic Workers’ Party, which, led by Lenin, seized control of the government in Russia (October 1917) and became the dominant political power campaign against religion, which resulted in the demolition of many churches and cemeteries. 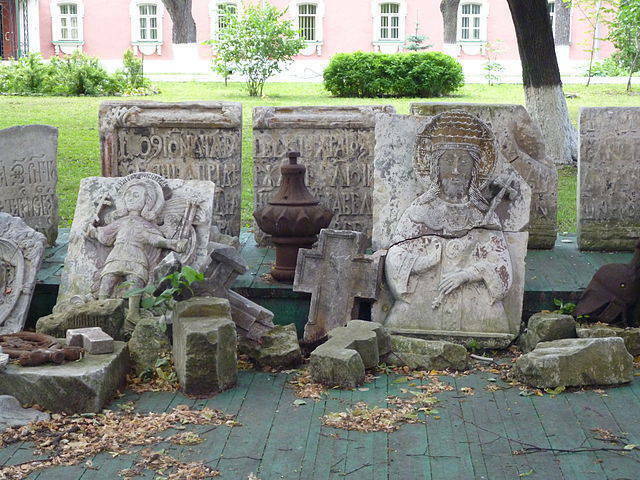 The graves of some well-known cultural figures were transferred to other places together with their tombstones, but most burials on the premises of monasteries and churches, including noble and merchant burials were destroyed and covered by built-up areas. 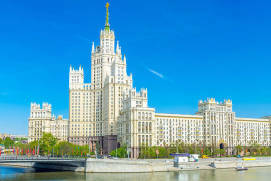 The Soviet era left behind a number of interesting ritual sites, such as the burial places of elite officials of the Communist party and military forces, as well as those of notable Soviet scientists and artists, located on Red Square and the Vagankovo and the Novodevichy Cemeteries. 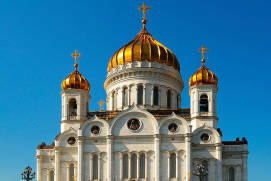 Moscow Kremlin has several burial sites dating back to different historical periods. 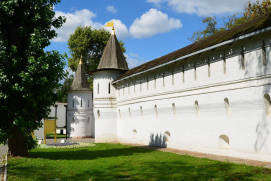 When the Moscow fortress became the residence of local princes in 1264, principality heads and their family members were buried in the necropoleis of Moscow churches. 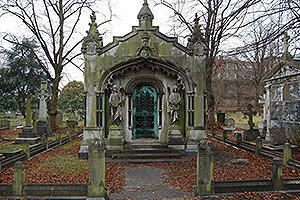 This is how royal family tombs came into existence. 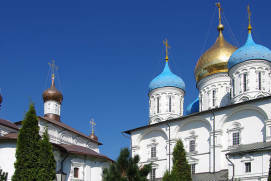 Orthodox hierarchs had the honour of being buried in the same churches, too. 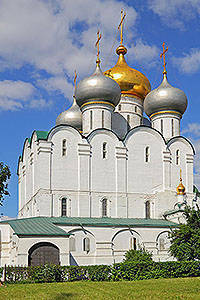 The earliest burial place of Russian rulers is the Archangel Cathedral in the Kremlin. 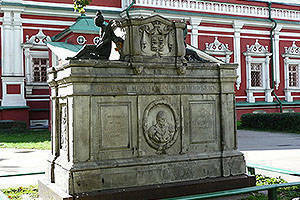 It contains tombs of princes starting from Grand Prince Ivan I KalitaGrand Duke of Moscow from 1325 and Vladimir from 1332 (d. 1340). 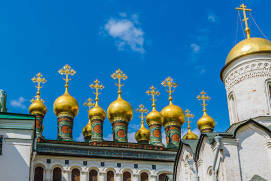 The following Russian rulers were also buried here: Dmitry Donskoy (d. 1389), who defeated the Tatar Khan Mamai; Grand Prince Ivan III the Great (d. 1505), a major politician who transformed Moscow into the centre of the unified Russian lands; Ivan IV the Terribleruled from 1533 to 1584 (d. 1584), the first Russian tsar and a legendary historical figure; Tsar Michael I of Russia (d. 1645), the first ruler of the Romanov dynastythe second dynasty to rule Russia, after the House of Rurik, reigning from 1613 until the February Revolution of 1917; and Tsar Alexis I of Russia (d. 1676), the most notable Russian ruler of the 17th century. 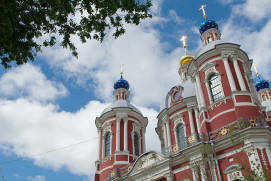 Emperor Peter II, who died in 1730, was the last to be buried in this cathedral and in Moscow. 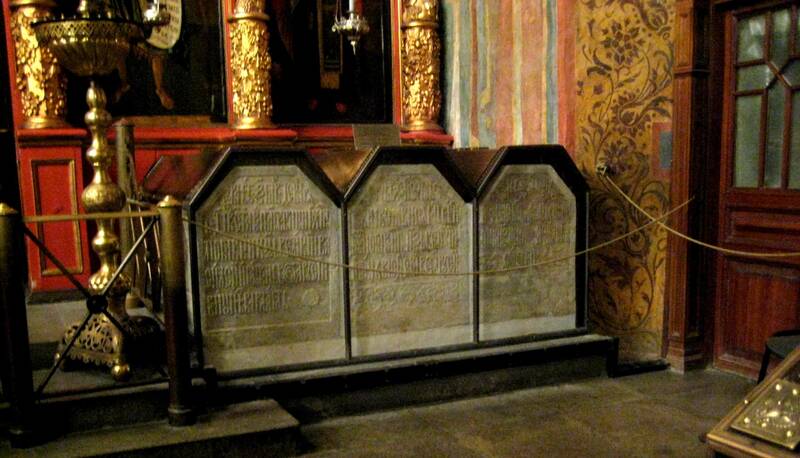 Today, the cathedral’s crypt also contains the sarcophagi of women from the Rurika dynasty founded by the Varangian prince Rurik succeeded by the Romanovs in the 17th century and Romanov families brought here from the Ascension MonasteryRussian: Voznesenskiy monastyr or Вознесенский монастырь demolished in 1928. 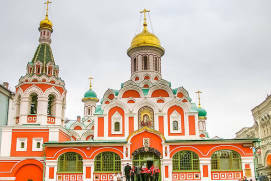 The Assumption CathedralRussian: Uspenskiy sobor or Успенский собор is the burial place of 20 church bishops, among whom are Saint Philip II (d. 1569), Metropolitan of Moscow who criticised Ivan the Terribleruled from 1533 to 1584 and was murdered on the tsar’s orders; Patriarch Hermogenes of Moscow (d. 1612), who was starved to death by the Poles, during the Time of Troublesperiod of political crisis in Russia that followed the demise of the Rurik dynasty (1598) and ended with the establishment of the Romanov dynasty (1613), a period of political crisis in Russia in the early 17th century, for refusing to collaborate with them; and Patriarch Filaret (d. 1633), a powerful head of the Romanov family, father of Tsar Michael I of Russia. 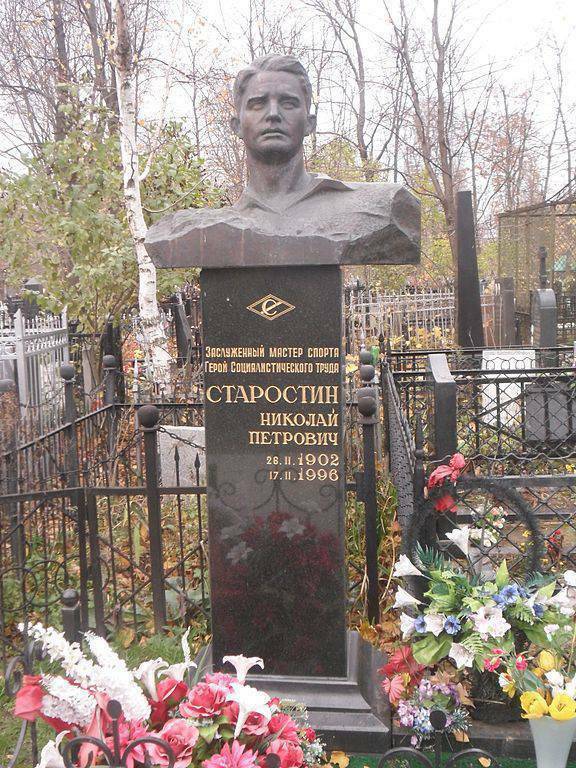 The Kremlin’s other churches also contain graves of once powerful personalities. 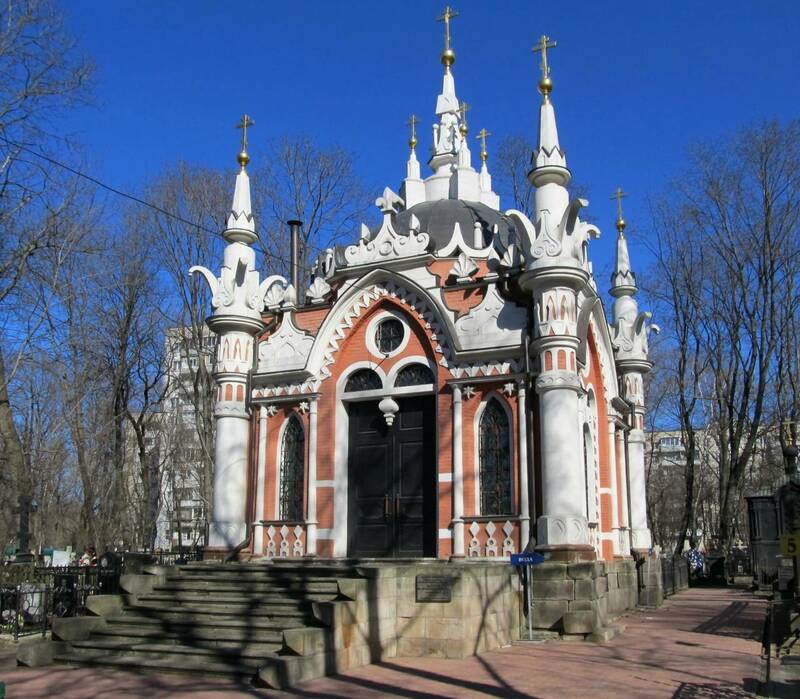 In 1917, the cult of tsars and patriarchs gave place to that of martyrs of the Bolshevik revolution. On 10 November, 1917, as soon as heavy fighting was over, 238 members of the revolutionary uprising were buried on Red Square by the Kremlin Wall. 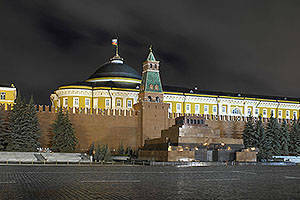 By 1927, a few more mass graves appeared by the Kremlin Wall. 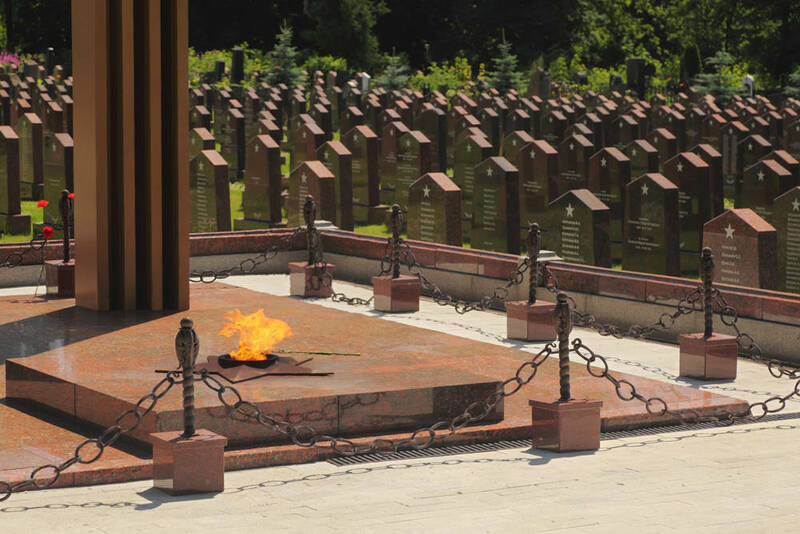 Communist party leaders and renowned military commanders were interred in individual graves. 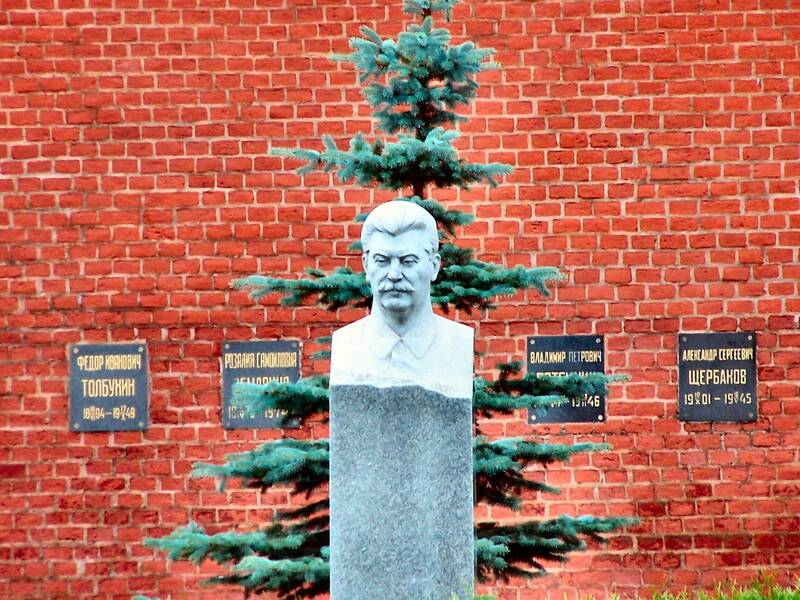 One of them contains the remains of Joseph Stalin, removed from the Mausoleum in 1961. 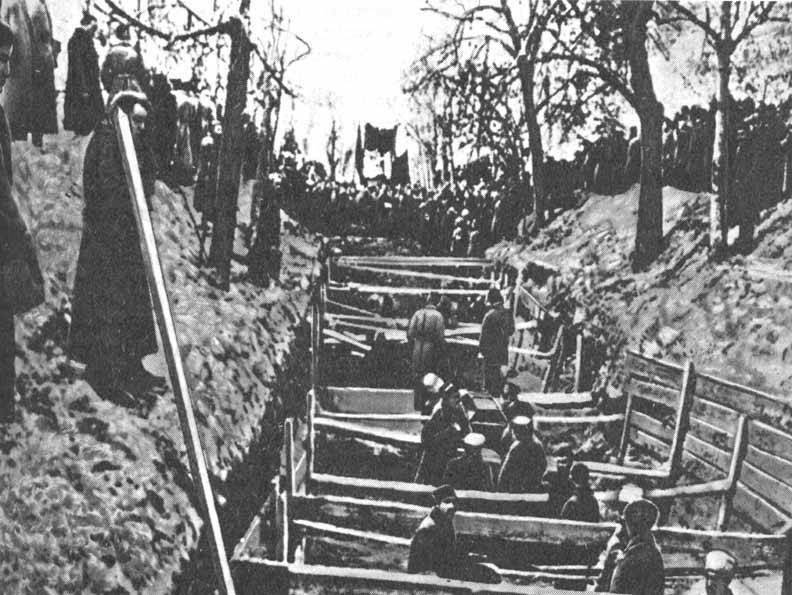 Among those buried by the Kremlin Wall are Soviet military leaders and heroes of the Civil Warin which the Red Army successfully defended the newly formed Bolshevik government led by Vladimir I. Lenin against various Russian and interventionist anti-Bolshevik armies: M. Frunze, K. Voroshilov, S. Budyonny, the first ‘chekistthe Russian term ‘chekist’ initially referred to members of the first Soviet Emergency Committee created in 1917’ F. Dzerzhinsky, but was later applied to members of all Soviet state security organisations, including the KGB); Soviet statesman M. Kalinin; General Secretaries of the USSR L. Brezhnev, Y. Andropov, K. Chernenko and other members of the Soviet political elite. 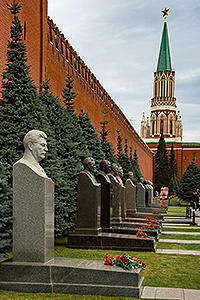 The Kremlin Wall itself came to serve as a burial place, with urns put inside and covered with memorial plates. 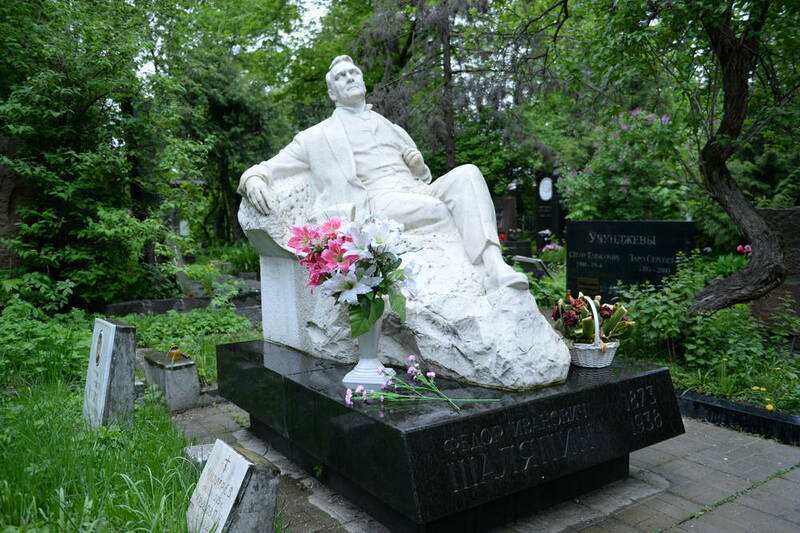 Along with tombs of the political elite, there are those of some outstanding scientists, including academician Alexander Karpinsky (1847–1936), a geologist and the first president of the USSR Academy of SciencesRussian: Akademiya nauk SSSR or Академия наук СССР; academician Igor Kurchatov (1903–1960), ‘father of the Soviet nuclear bomb’; design engineer and academician Sergei Korolev (1907–1966), founder of the Soviet space programme; and design engineer and academician Mstislav Keldysh (1911–1978). 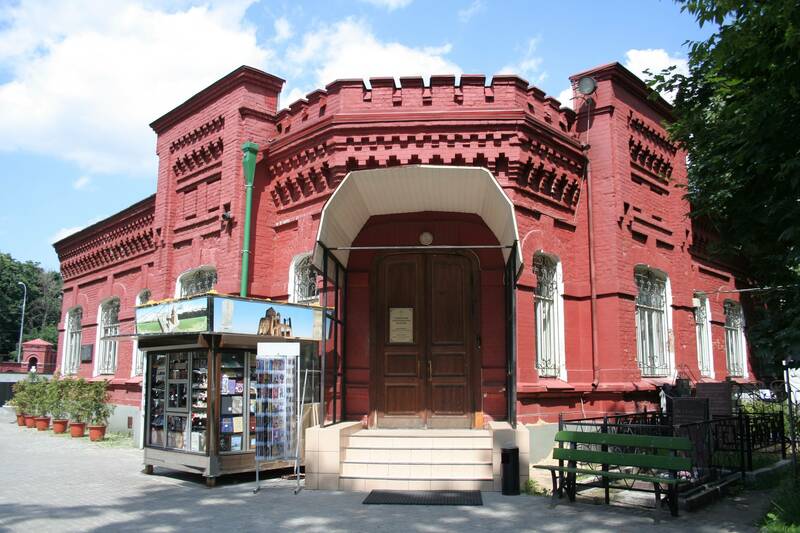 Another name worthy of mention is that of writer Maxim Gorky (1868–1936), buried inside the Kremlin Wall. 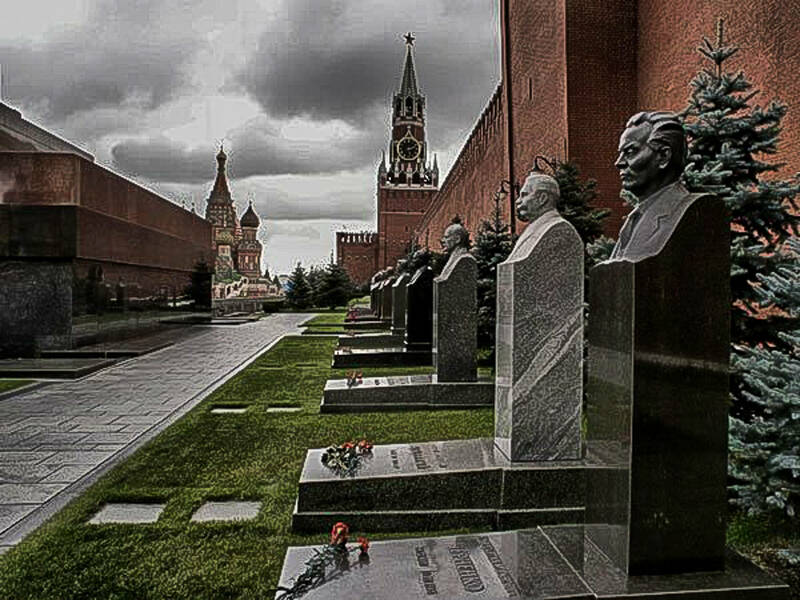 The Kremlin Wall Necropolis became the final resting place of some international socialist and communist activists who spent their last days in Soviet Russia. 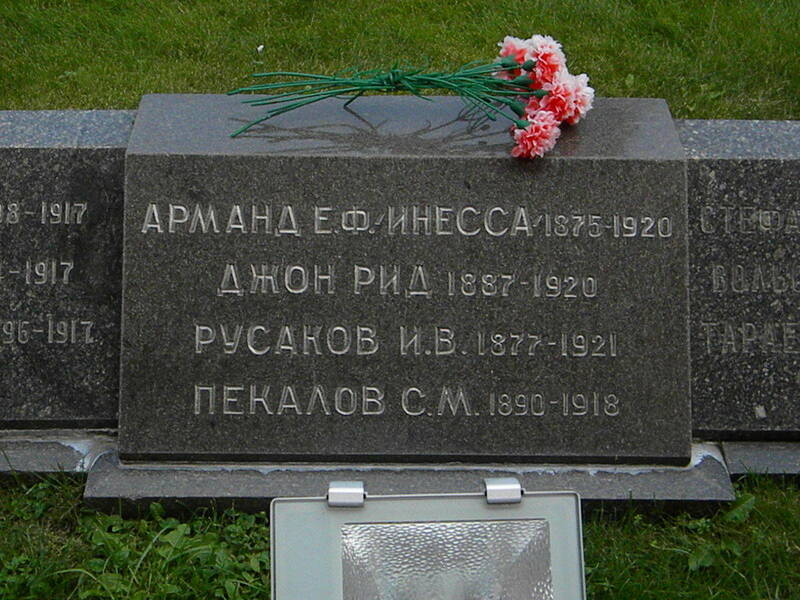 Among them are the American journalist John Reed (1887–1920), an eyewitness of the Great October Socialist Revolutiona revolution in Russia led by the Bolsheviks with Vladimir Lenin as a leader that was instrumental in the larger Russian Revolution of 1917 and author of Ten Days That Shook the World and Clara Zetkin (1857–1933), a German communist and advocate for women’s rights. 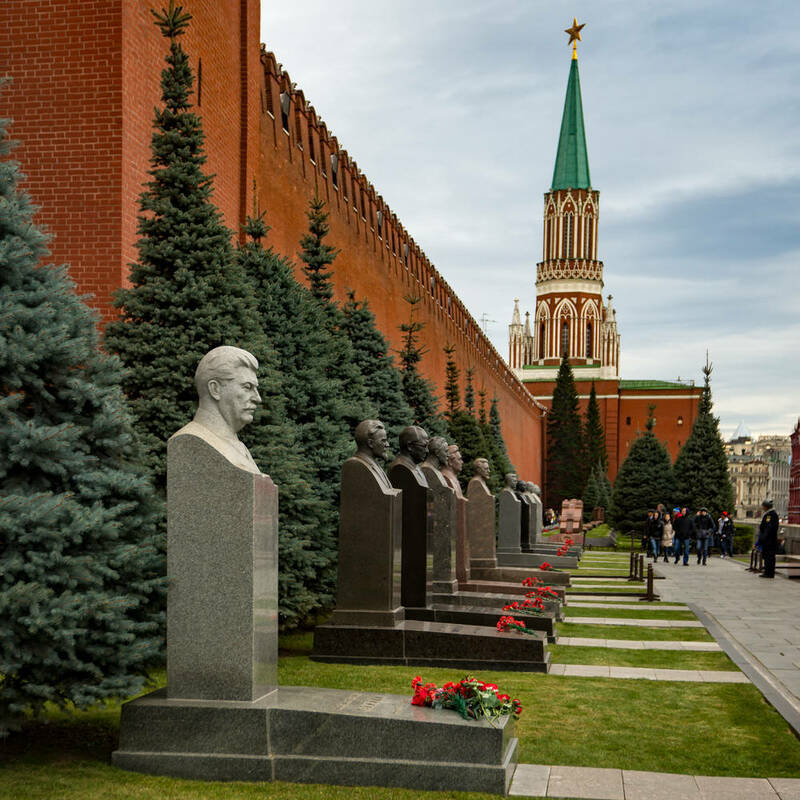 Lenin’s Mausoleum is the focal point of the burial complex on Red Square. 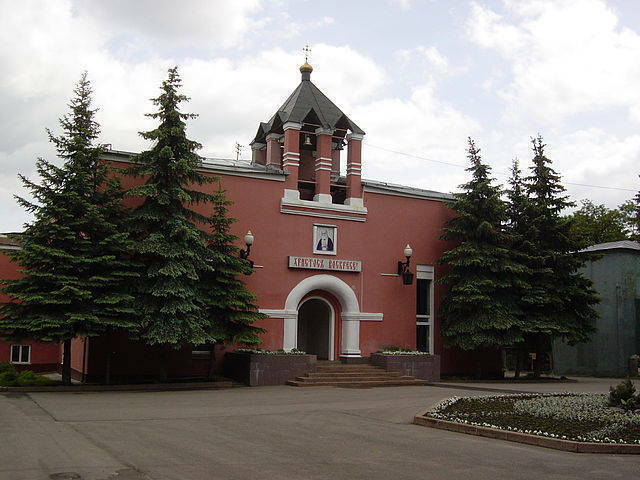 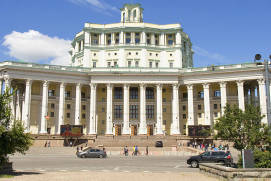 After Vladimir Lenin’s Death, it was decided to preserve his body and keep it in a mausoleum initially designed by A. Shchusevan acclaimed Russian and Soviet architect. 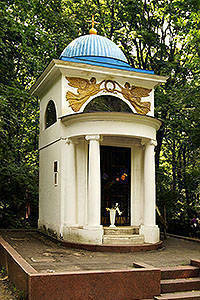 The Mausoleum as we know it today was completed in 1930. 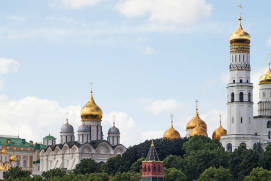 Its shape is reminiscent of that of the Egyptian pyramids, implying that what stands on Red Square is the temple consecrated to the future global religion. 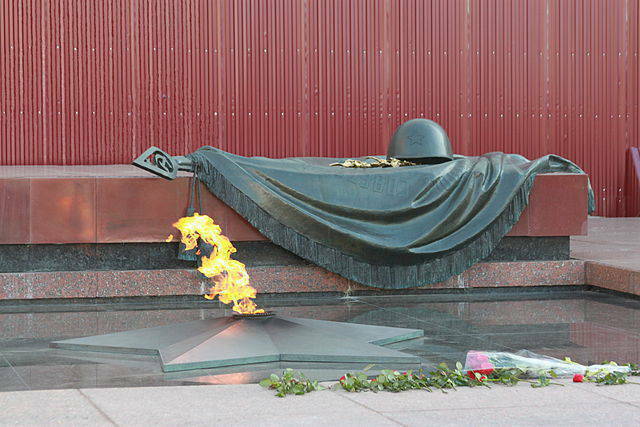 Another widely known burial site at the Kremlin is the Tomb of the Unknown Soldier located in Alexander GardenRussian: Mogila Neizvestnogo soldata v Aleksandrovskom sadu or Могила Неизвестного солдата в Александровском саду. 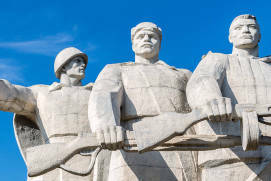 This memorial site refers to the monument to the Unknown Soldier set up beneath the Triumphal Arch in Paris. 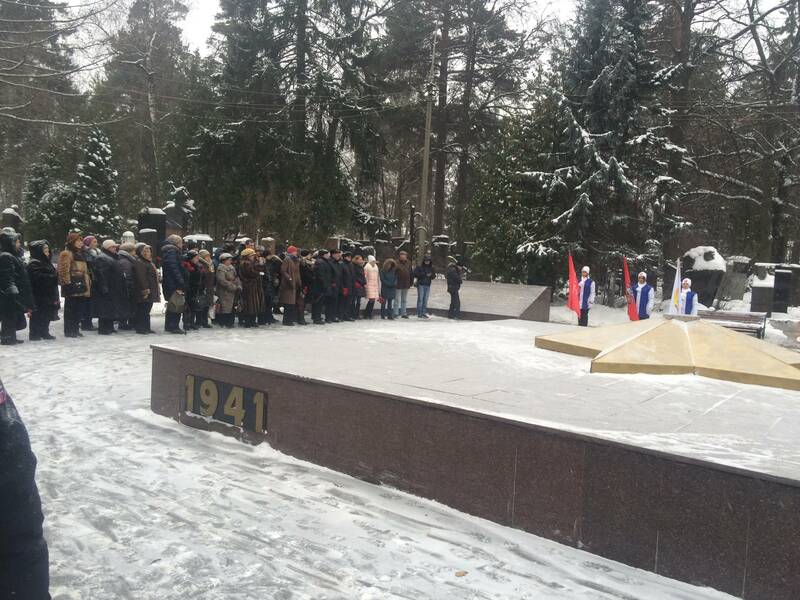 The Russian monument commemorates every soldier fallen in the Great Patriotic WarWorld War II, ‘whose name is unknown, but whose deed is immortal’. 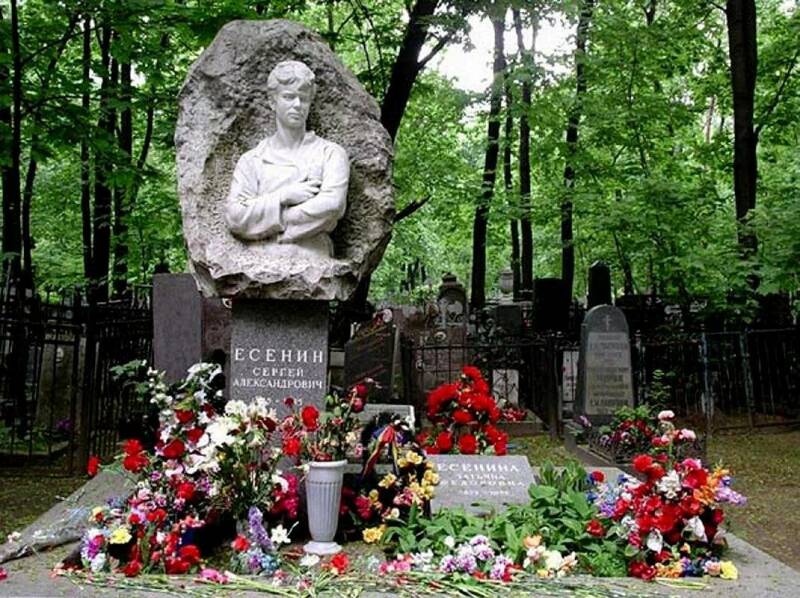 Here lie the remains of an unidentified soldier from one of the mass graves just outside Moscow. 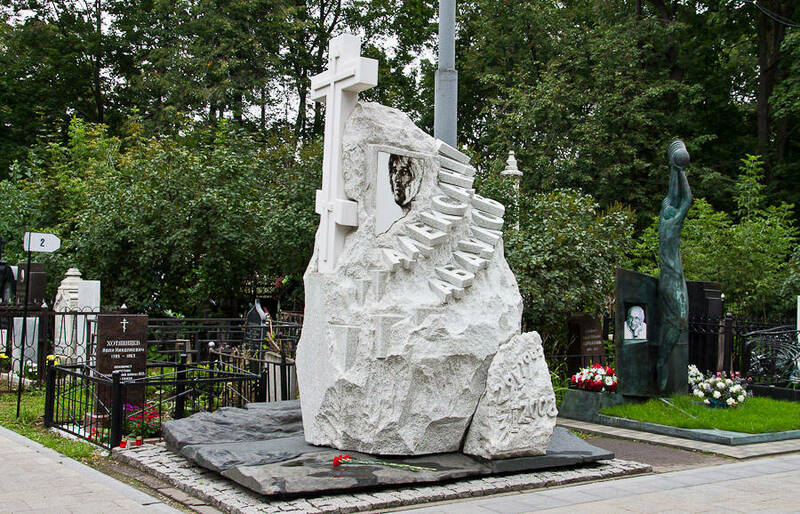 This simple monument is dedicated to the military cult, centred around the Russian’s respectful attitude towards all those who died in wars protecting their homeland. 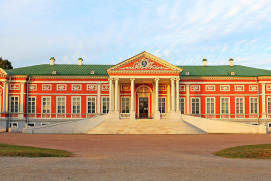 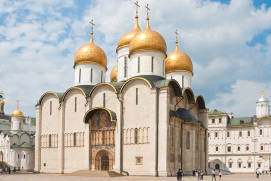 If the Russian history is a subject of your interest and you want to know, for example, what is the oldest church in Moscow, what are the famous monasteries around Moscow, which style of Moscow architecture you can see only in this town, you can read on our website pages about Kremlin Russia and “History and Architecture”. 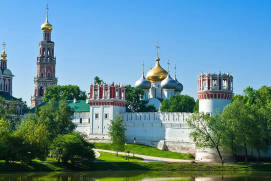 The Novodevichy (‘New Maiden’s’) Convent was founded in 1524 by Vasili IIIthe Grand Prince of Moscow from 1505 to 1533 of Russia. 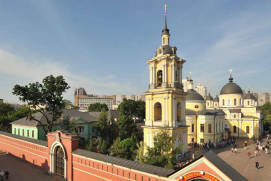 The architectural ensemble of the convent dating back to the 16th and 17th centuries is a unique architectural monument built in the ancient Russian and ‘Naryshkin Baroquea particular style of Baroque architecture and decoration that was fashionable in Moscow from the turn of the 17th into the early 18th centuries’ styles. 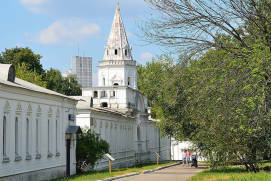 The Necropolis of the Novodevichy ConventRussian: Nekropol Novodevichego monastyrya or Некрополь Новодевичьего монастыря is one of Moscow’s two best preserved cemeteries where the Russian nobility was buried. 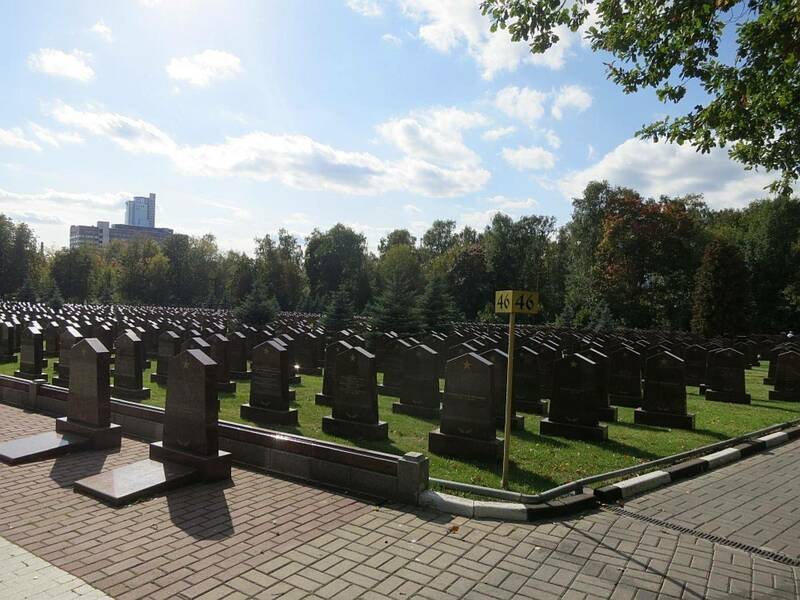 Although it no longer has any tombstones dating back further than the 19th century, one can take a quiet and peaceful walk along the rows of old tombstones, pausing in front of familiar names. 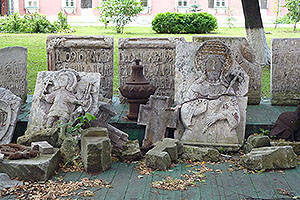 The tombstones themselves are real antiquities, and some of them are truly works of art. 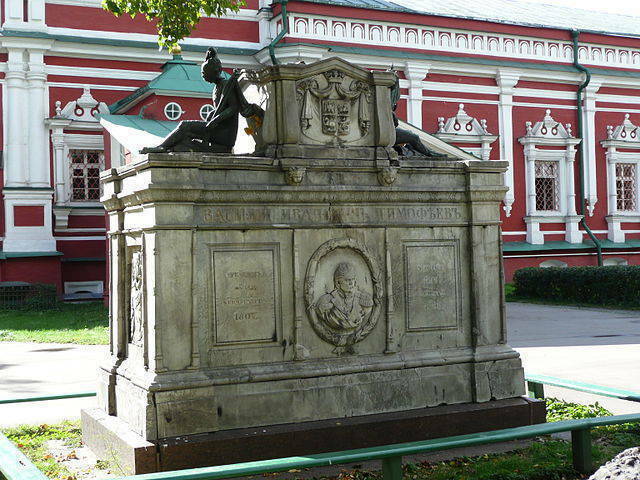 For example, one cannot miss the tombstone on the grave of the hero of the Battle of Borodinoa battle fought in 1812 in the Napoleonic Wars during the French invasion of Russia, General V. Timofeyev (1783–1850), adorned with his coat of arms and a bas-relief portrait of the deceased general. 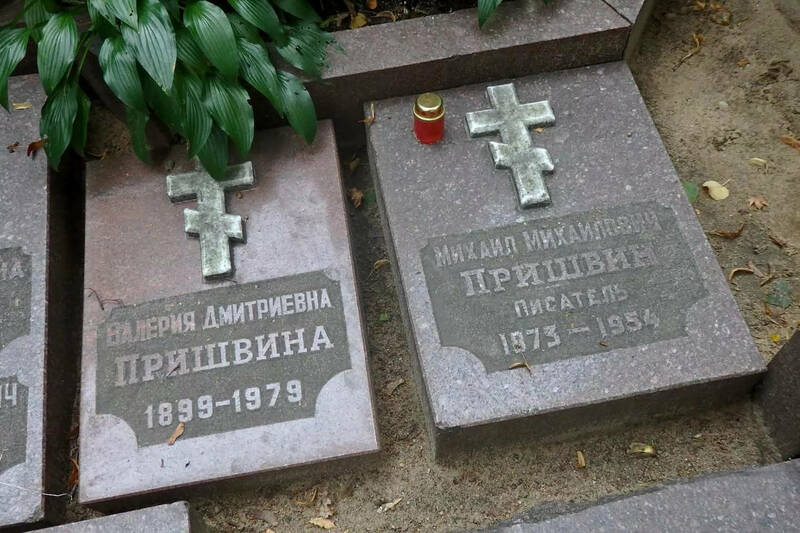 The names engraved on the tombstones also mean a lot to those who are familiar with Russian history: World War I regiment commander General A. Brusilov (1853–1926); partisan and poet Denis Davydov (1784–1839); writer M. Zagoskin (1789–1852); participants of the failed ‘nobility revolution’ (Decembrist revoltan unsuccessful revolt against Tsar Nicholas I) of 1825, including one of its leaders, Prince S.P. 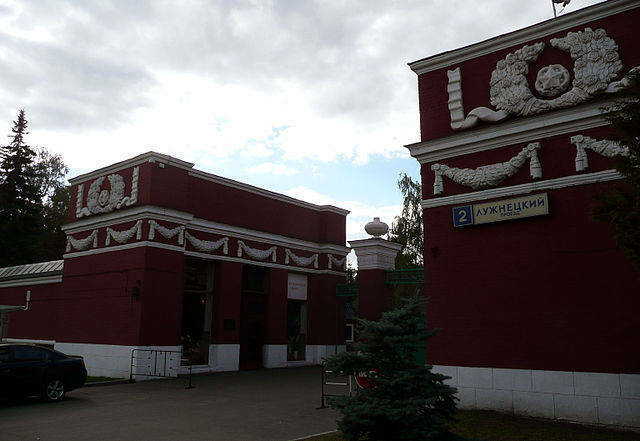 Trubetskoy (1790–1860); historian M. Pogodin (1800–1875); philosopher V. Solovyov (1853–1900) and many more. 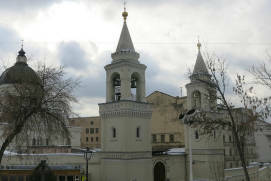 The cemetery ran out of space for new interments in the early 20th century, and a new one was opened on the other side of the convent’s walls. 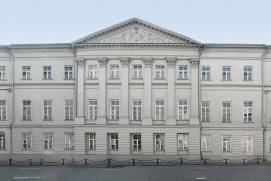 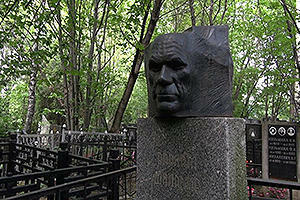 It was here that the remains of notable cultural figures were transferred, in the 1930s, from the demolished cemeteries. 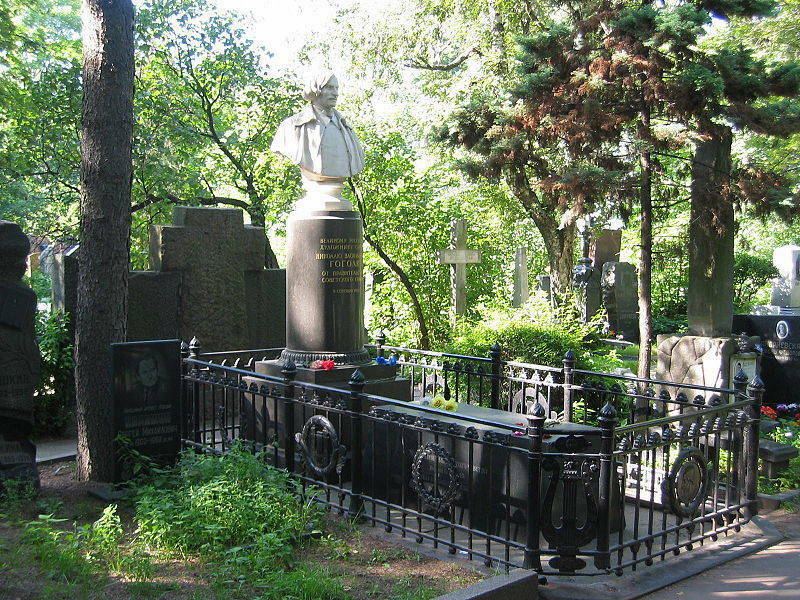 These include the grave of the well-known Russian writer Nikolai Gogol (1809–1852), who was initially buried at the Danilov MonasteryRussian: Danilov monastyr or Данилов монастырь. 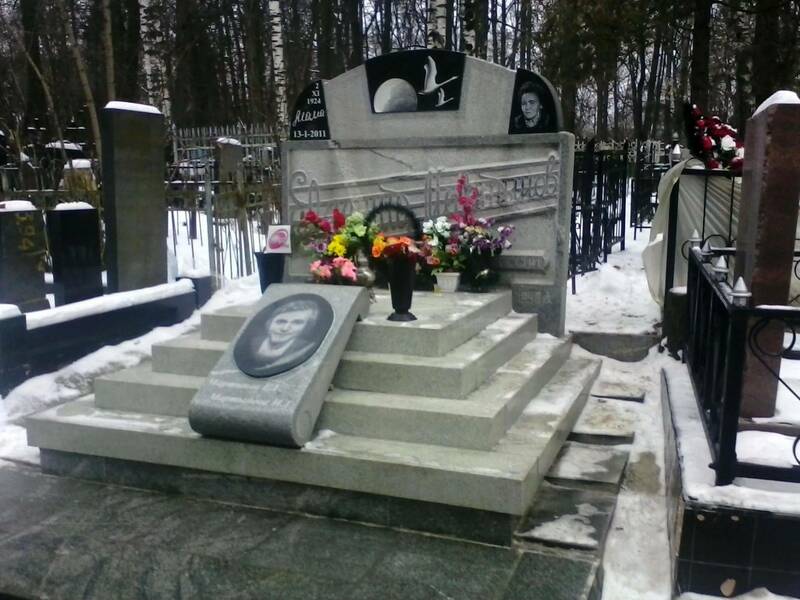 An exact replica of his original tombstone was installed in 1952. 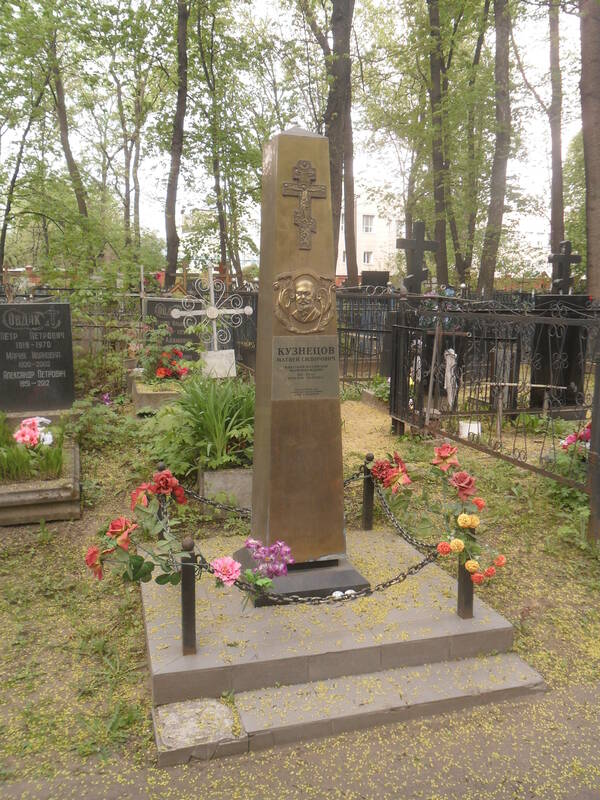 Another grave transferred here from the Dorogomilovo Jewish CemeteryRussian: Dorogomilovskoye evreyskoye kladbische or Дорогомиловское еврейское кладбище is that of the renowned landscape painter Isaac Levitan (1860–1900). 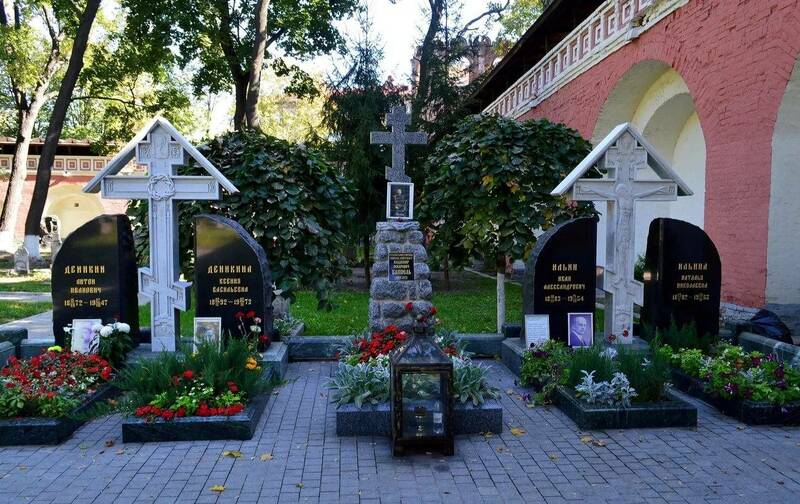 The cemetery also features the graves of the brothers Sergey (1824–1892) and Pavel (1832–1898) Tretyakov, entrepreneurs and founders of the Tretyakov GalleryRussian: Tretiakovskaya galereya or Третьяковская галерея, which boasts one of the world’s most impressive collections of Russian paintings. 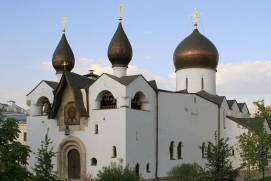 Their remains were also moved here from the Danilov Monastery. 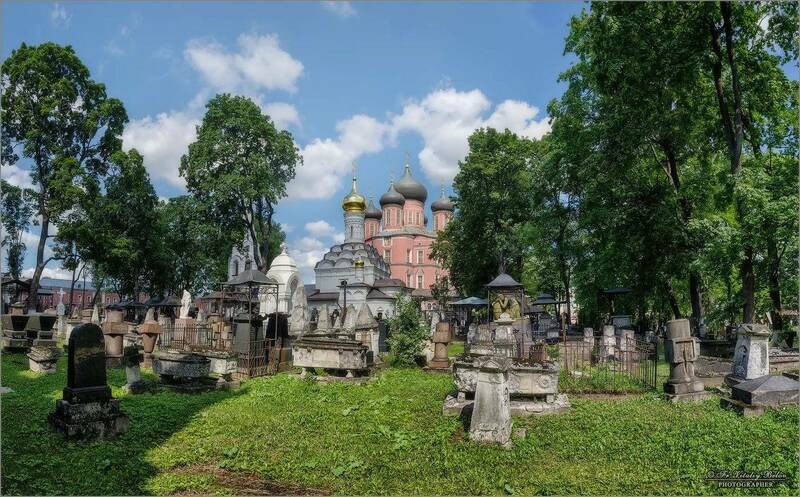 In the Soviet period, the Novodevichy Cemetery was reserved for members of the political and cultural elites, and today a walk around this cemetery provides a glimpse of what that ‘red Moscow’ was like. 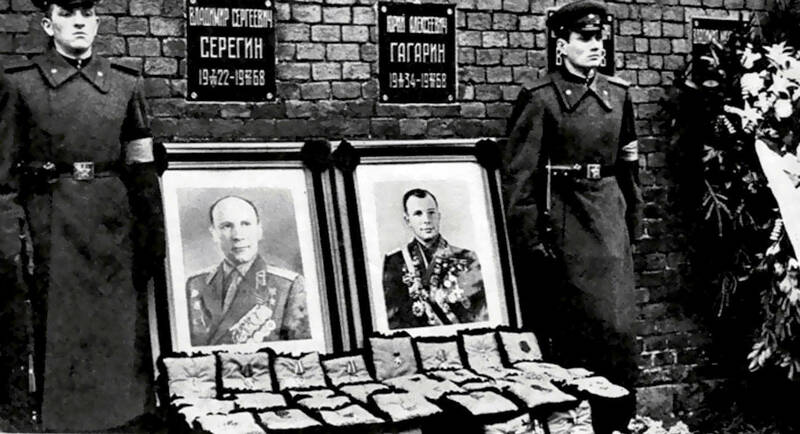 One after the other, the names of people who defined the image of the Soviet Union in politics, culture and art, pass before your eyes. 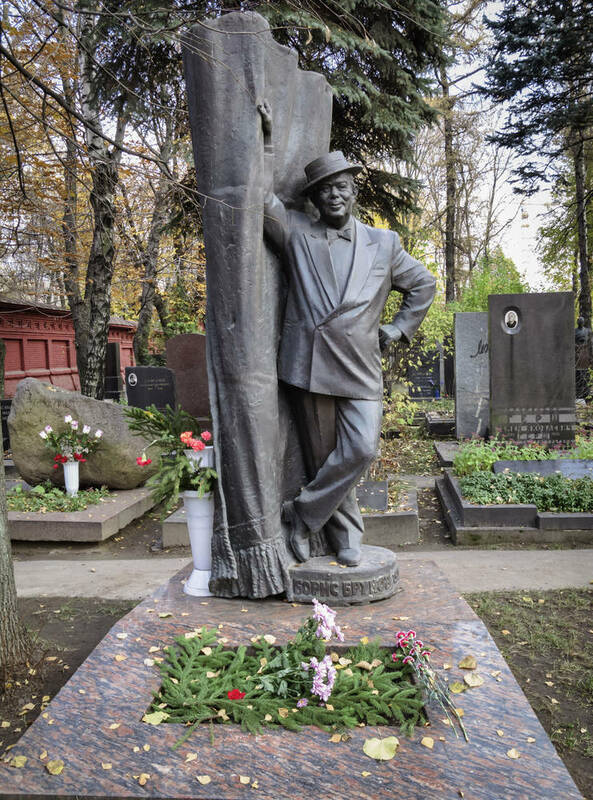 Among the best-known graves here is that of Nikita Khrushchev, who was the only General Secretary of the Soviet Union not buried on the Red Square. 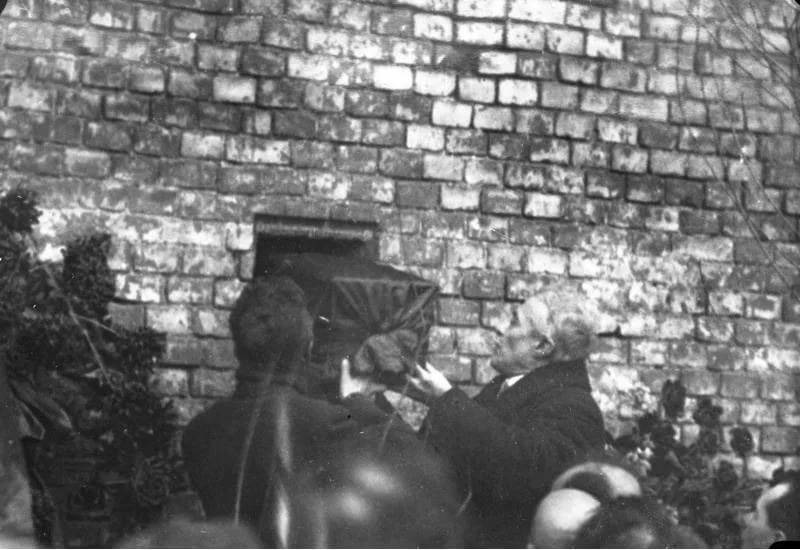 The reason for this is that, by the time he died, he had fallen out of favour with the authorities, and his ashes were deposited in this, the second-ranking cemetery for government members. 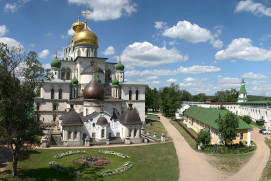 The history of the Donskoy Monastery is similar to that of Novodevichy Convent and Cemetery. 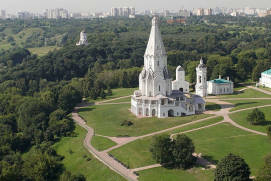 The Necropolis of the Donskoy MonasteryRussian: Nekropol Donskogo monastyrya or Некрополь Донского монастыря is a well-preserved burial site which was once reserved for Moscow’s aristocrats. 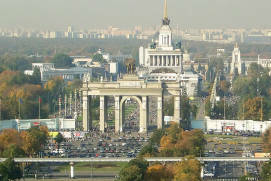 Among these are 61 heroes of the Patriotic War of 1812the war between the Russian Empire and Napoleonic France on the territory of Russia in 1812, members of the Itinerant (‘Peredvizhniki’) artistic movement Vasily Perov (1834–1882), founding father of aerodynamics Nikolay Zhukovsky (1847–1921), historian Vasily Klyuchevsky (1841–1911) and many others. 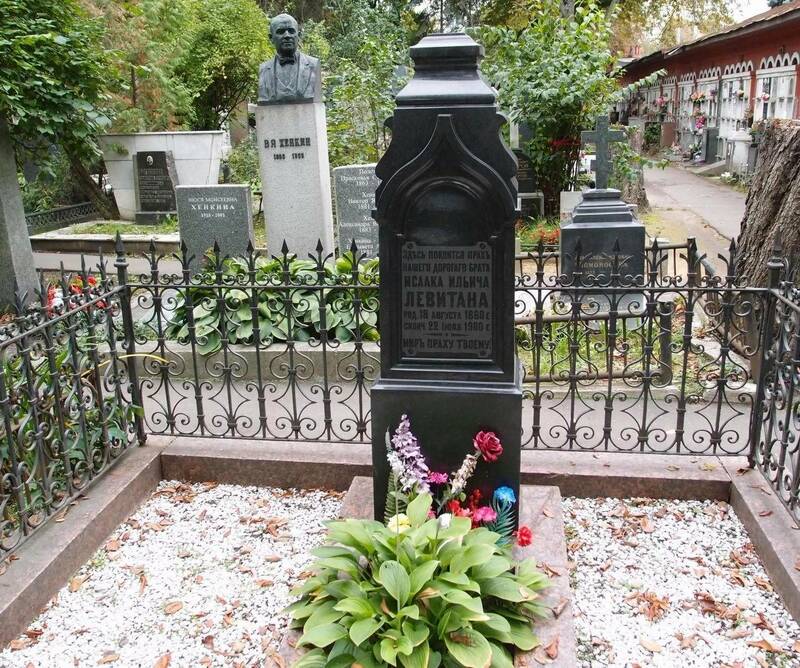 In 2005, the remains of two members of the White movementa loose confederation of Anti-Communist forces that fought the Bolsheviks in the Russian Civil War (1917–1922/3) were transferred here from abroad: General Anton Denikin (1872–1947) and philosopher Ivan Ilyin (1883–1954). 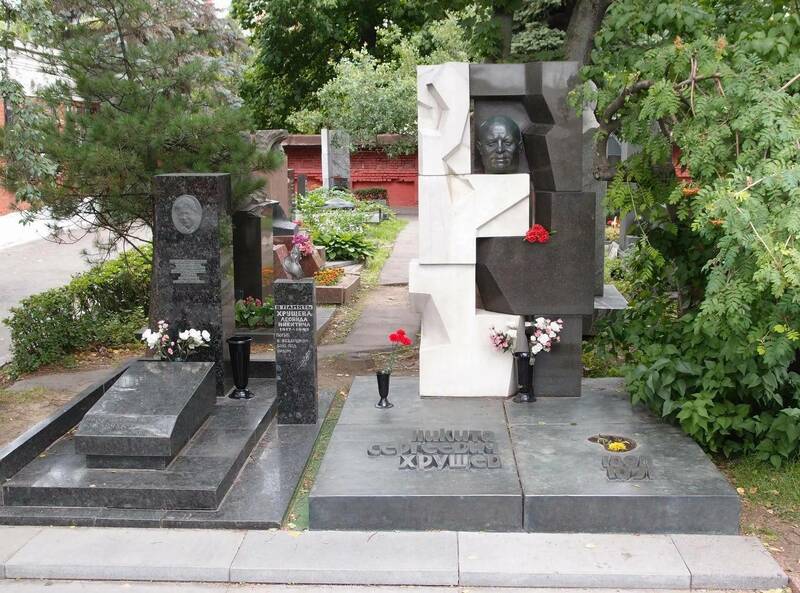 The dissident writer and Noble Award winner, Aleksandr Solzhenitsyn (1918–2008), also has his final resting place here. 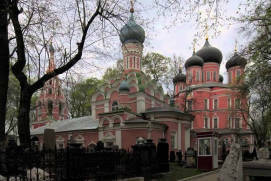 The Necropolis of the Donskoy Monastery is, in fact, an open-air museum, signposted with layout maps and information plates about the graves, written in Russian. 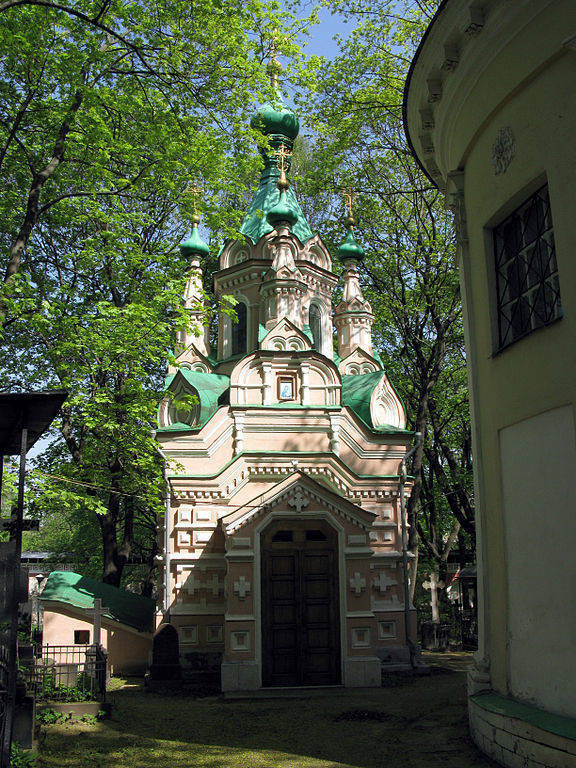 Throughout its history, Moscow had several cemeteries for adherents of religions other than Orthodox Christianity. 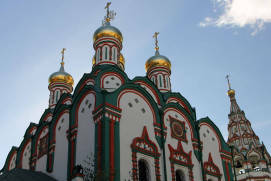 All of these sites are interesting examples of how burial is approached in different religions. 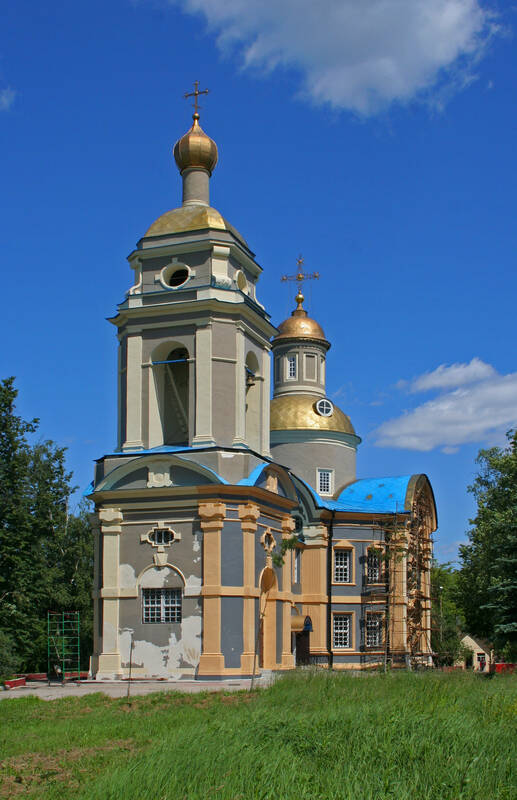 Of particular interest is the Vvedenskoye CemeteryRussian: Vvedenskoye kladbische or Введенское кладбище, whose appearance is due to an epidemic that broke out in 1771. 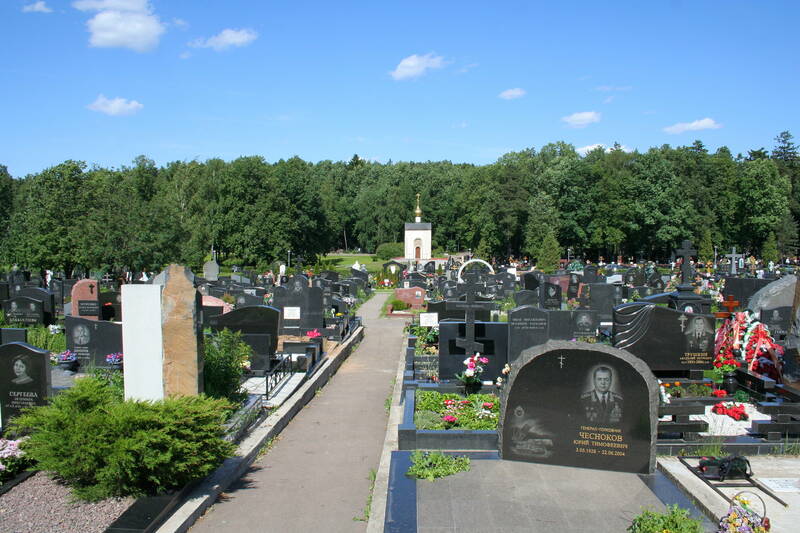 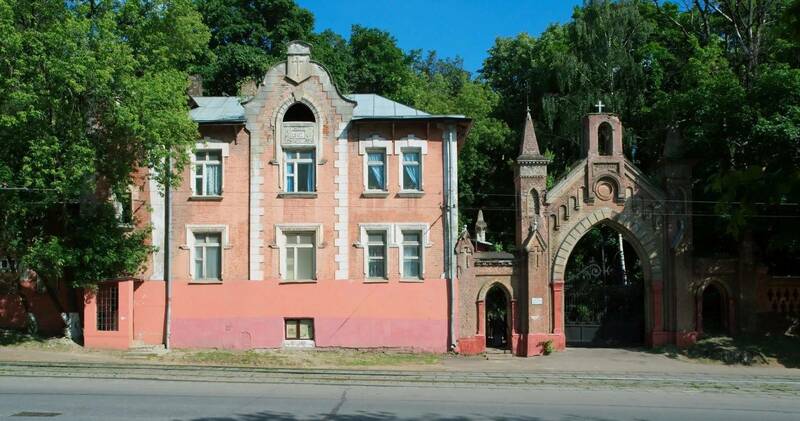 The cemetery is located in LefortovoRussian: Лефортово, an area adjacent to the German QuarterRussian: Nemetskaya sloboda or Немецкая слобода, which has been inhabited by expatriates since the 16th century. 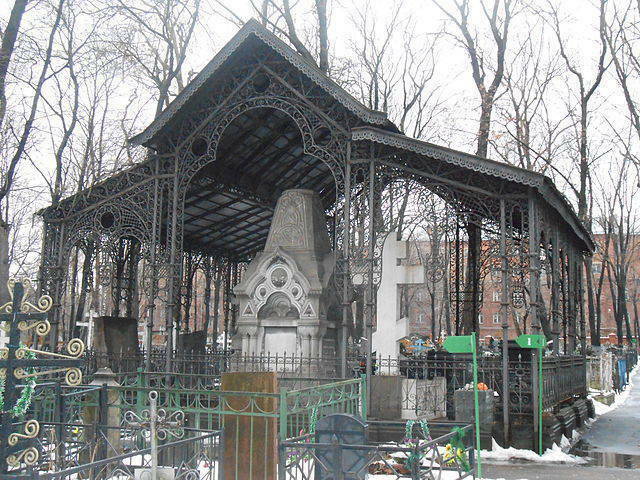 Initially, only Catholics and Lutherans were buried here, but the cemetery began to diversify in the 19th century. 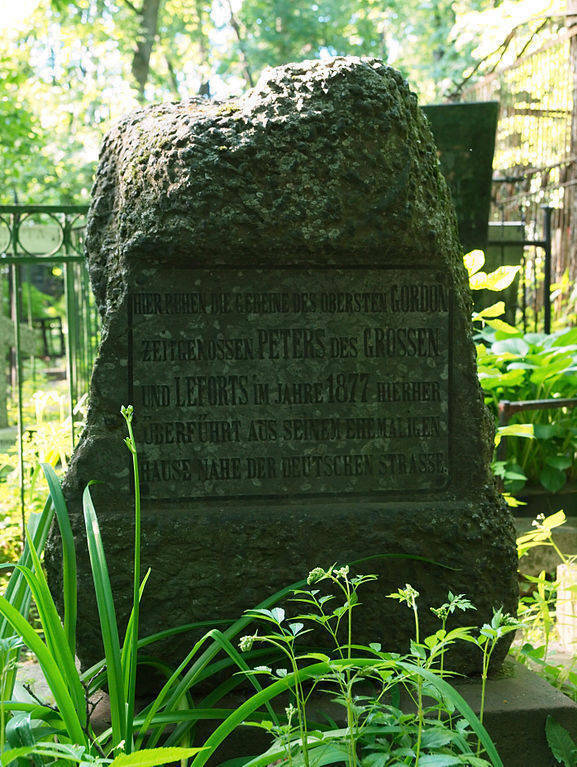 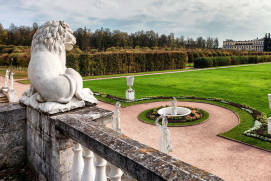 Some of the best-known historical personalities buried here are foreigners who were in the service of Peter the Greatruled from 1682 until 1725, Franz Lefort and Patrick Gordon. 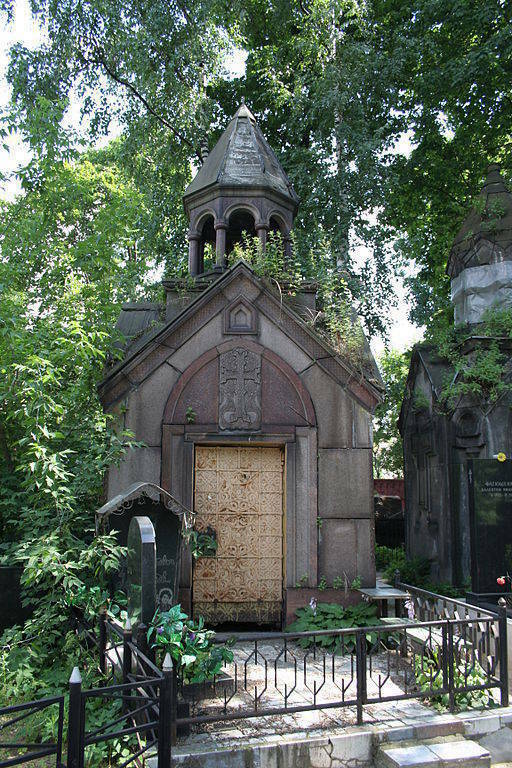 Their remains were transferred here in the 19thcentury from a demolished Lutheran church in the German Quarter. 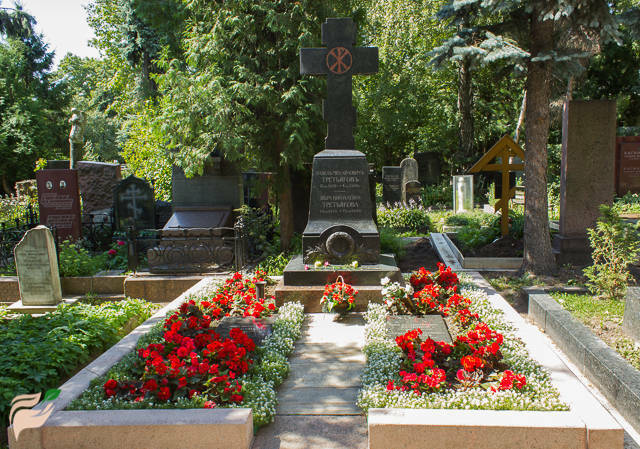 Other prominent people buried here include several German industrialists with their families, painters Viktor (1848–1926) and Apollinary (1856–1933) Vasnetsov, writer Mikhail Prishvin (1873–1954) and fighter pilots of the Normandie-Niemen Regiment. 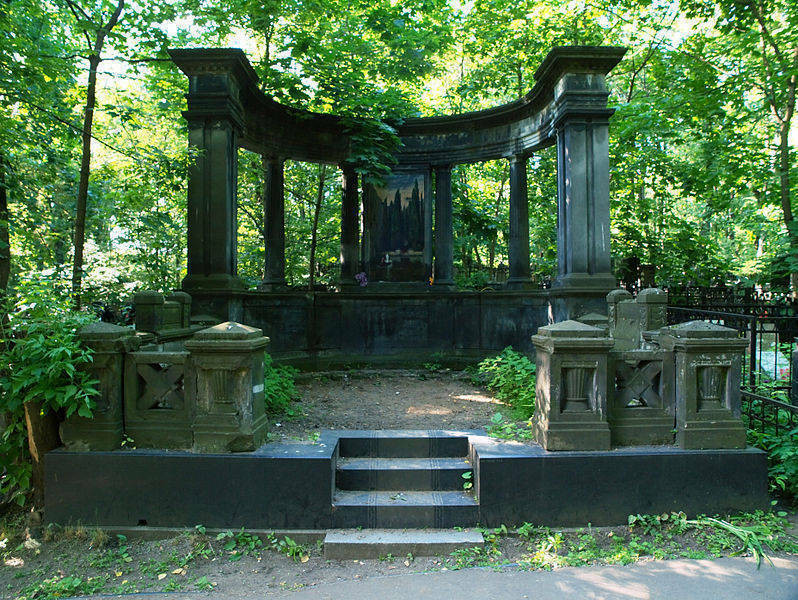 An aura of mystery has surrounded this cemetery since the 18th century. 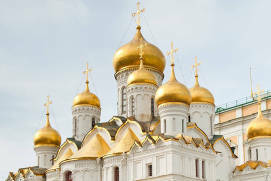 Interestingly, echoes of these old-time beliefs are still alive today. 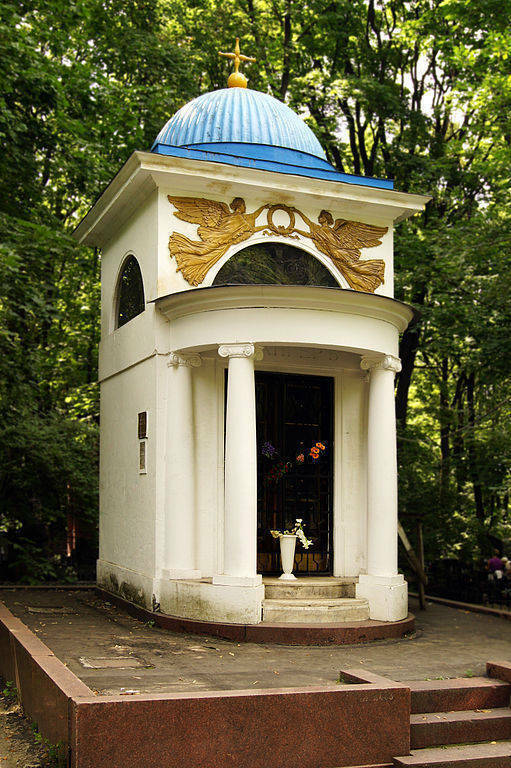 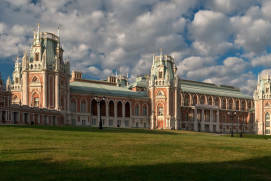 Take, for example, the Mausoleum of the Erlanger family of entrepreneurs, designed by Fyodor Schechtela Russian architect, the most influential and prolific master of Russian Art Nouveau and late Russian Revival. 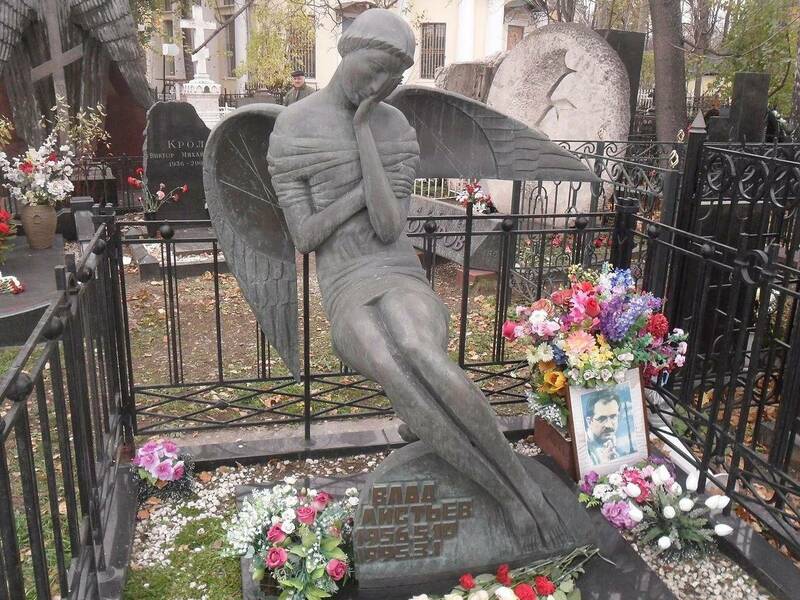 Visitors to the cemetery cover its walls with all kinds of written requests addressed to God. 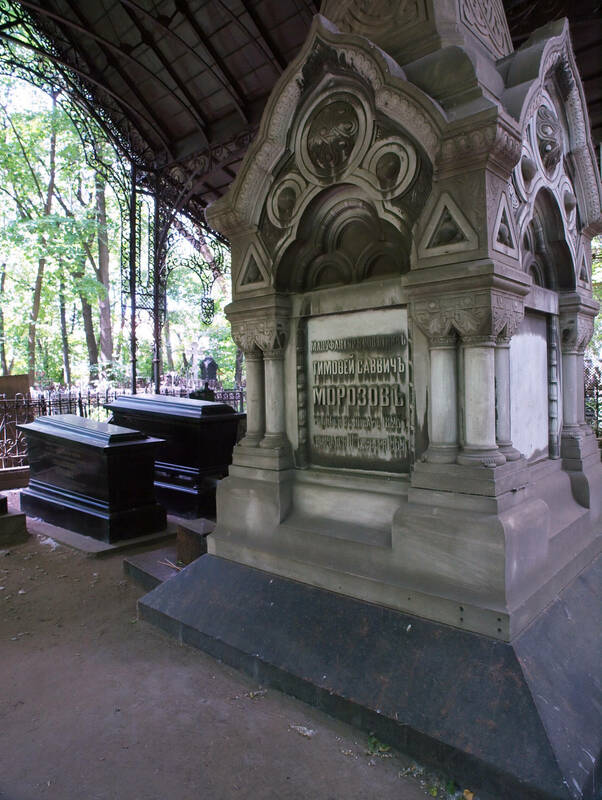 How did it come to pass that a German family crypt ended up serving as a place of worship? 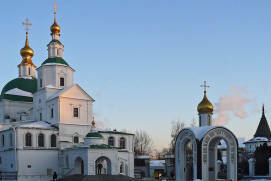 The answer is surprisingly simple: the burial vault features a mosaic panel – Christ the SowerRussian: Khristos-Seyatel or Христос-Сеятель – based on the drawings by Kuzma Petrov-Vodkin. 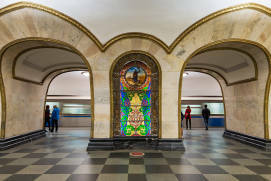 The mosaic panel theme is associated with the Erlanger family’s main professional pursuit – their flour milling business. 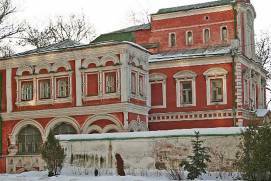 The Erlanger Mausoleum is listed on Russia’s federal register of cultural heritage sites. 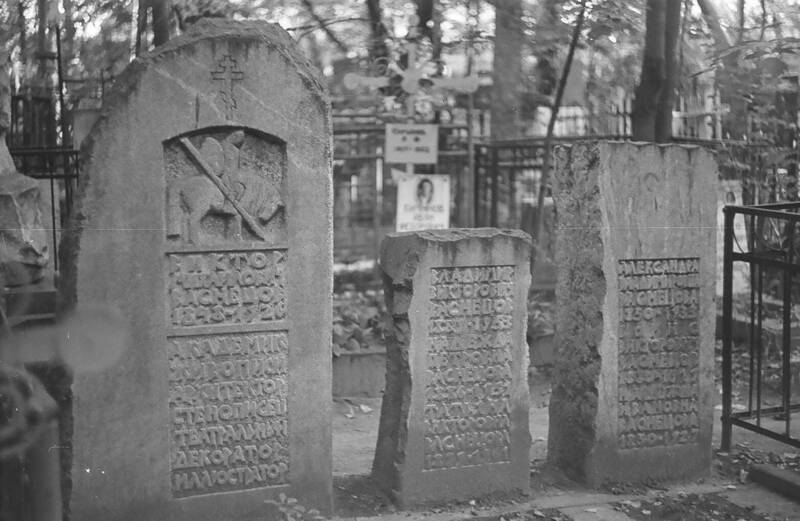 The cemetery emerged in 1771 near the village of Novoye VagankovoRussian: Новое Ваганьково, which has long since disappeared. 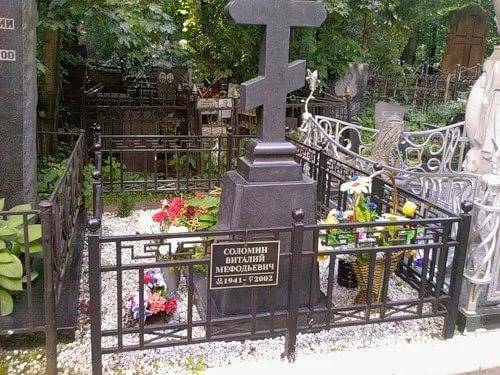 It has become the final resting place of many renowned Soviet people. 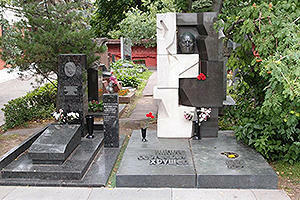 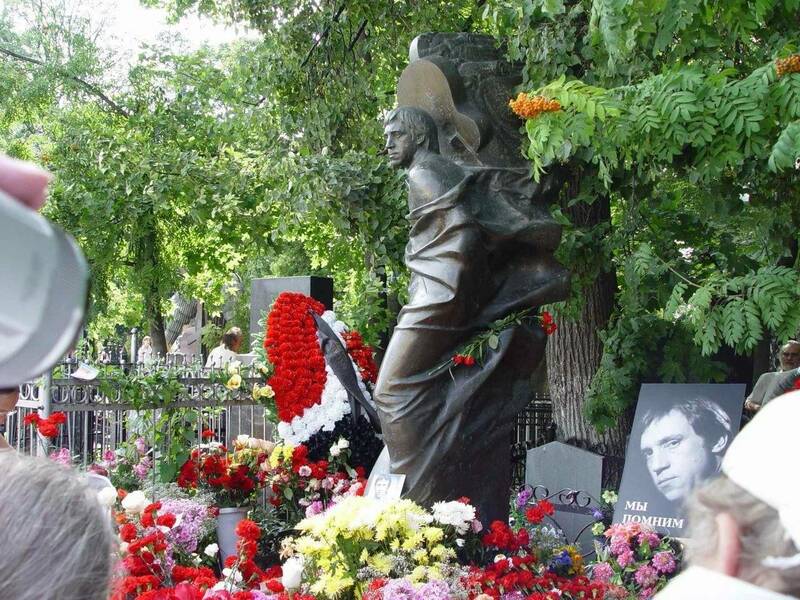 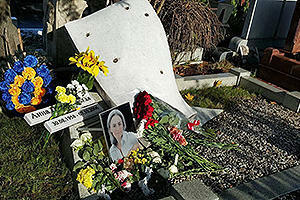 Of special interest to the general public are the graves of cultural figures from Soviet times as well as more recently. 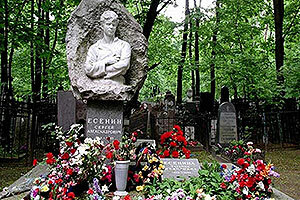 These include Sergei Yesenin (1895–1925), Vladimir Vysotsky (1938–1980), Bulat Okudzhava (1924–1997), writers Vasily Aksyonov (1932–2009), Grigori Gorin (1940–2000), singer Igor Talkov (1956–1991), painter Vasily Surikov (1848–1916), architect Fyodor Schechtel (1859–1926), actors Vitaly Solomin (1941–2002) and Aleksandr Abdulov (1953–2008). 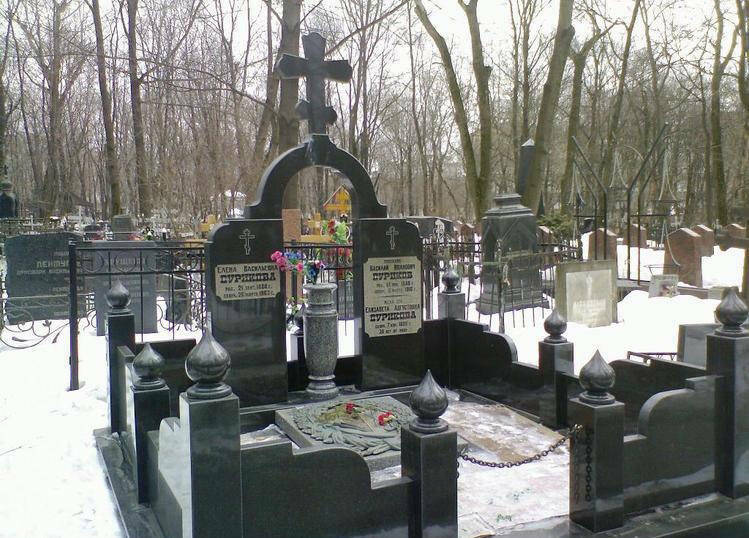 The Vagankovo Armenian CemeteryRussian: Vagankovskoye Armyanskoye kladbische or Ваганьковское Армянское кладбище featuring many interesting monuments (12, Sergeya Makeeva Street) is a stone’s throw from the Vagankovo Cemetery. 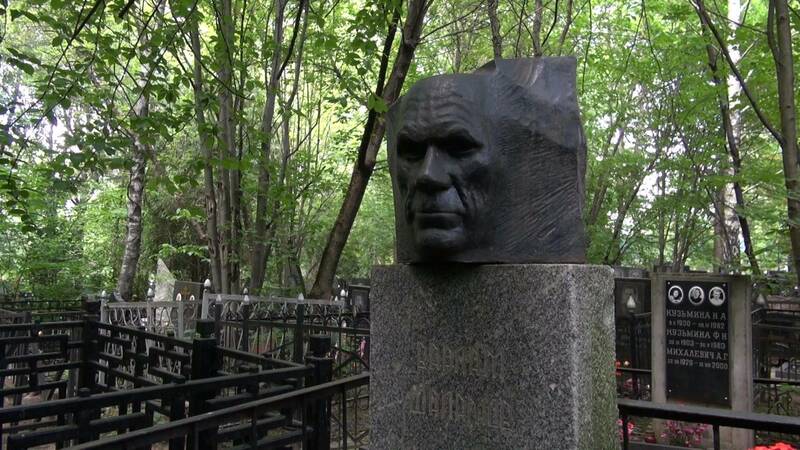 Kuntsevo CemeteryRussian: Kuntsevskoe kladbische or Кунцевское кладбище (1, RyabinovayaRussian: Рябиновая Street) contains the graves of Soviet cultural figures and politicians in senior government positions, including writer Varlam Shalamov (1907–1982), politician Georgy Malenkov (1902–1988) and L. Trotskycommunist theorist and agitator, a leader in Russia 's October Revolution in 1917’s murderer Ramón Mercader (1913–1978). 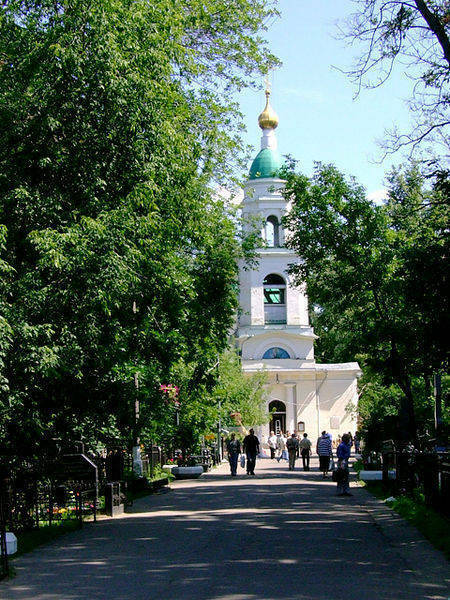 Troyekurovo CemeteryRussian: Troekurovskoe kladbische or Троекуровское кладбище (24, Ryabinovaya Street) is one of Moscow’s elite cemeteries containing graves of famous Russian people, including poet Boris Zakhoder (1918–2000), actor Vladislav Galkin (1971–2010), journalist Anna Politkovskaya (1958–2006) and others. 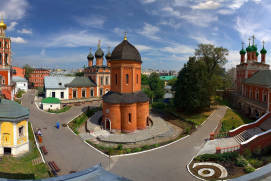 Here also stands the Church of St. Nicholas the Wonderworker in TroyekurovoRussian: Tserkov Nikolaya Chudotvortsa v Troekurove or Церковь Николая Чудотворца в Троекурове. 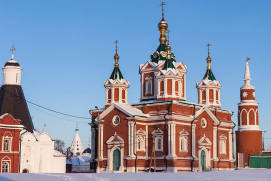 Preobrazhenskoye СemeteryPreobrazhensky ValRussian: Преображенский валOld BelieverOrthodox Christians who maintain the liturgical and ritual practices of the Eastern Orthodox Church as they existed prior to the reforms of Patriarch Nikon of Moscow between 1652 and 1666Rogozhskoye CemeteryRussian: Rogozhskoe kladbische or Рогожское кладбище (31a, StaroobryadcheskayaRussian: Staroobryadcheskaya or Старообрядческая Street) is an Old Believer cemetery and a major spiritual centre. 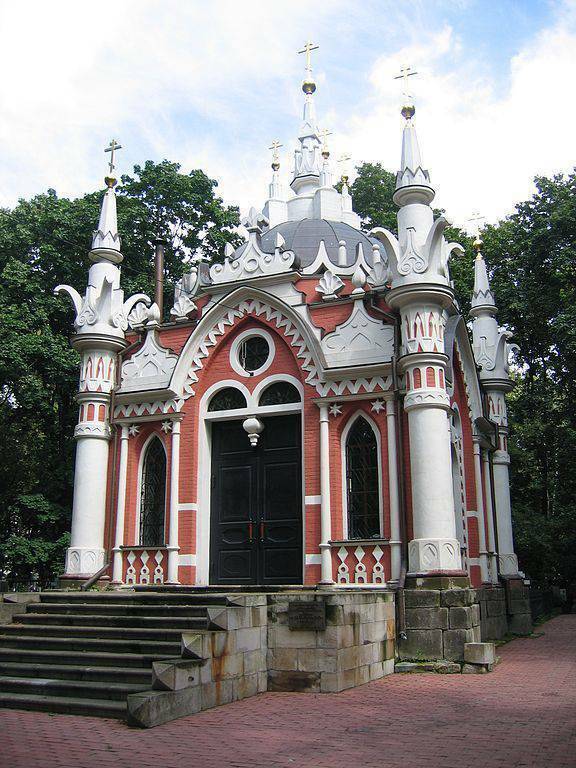 It contains ornate tombs of clergymen and factory owners. 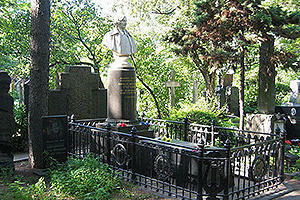 Those buried here include entrepreneur Pavel Ryabushinsky (1820–1899), patron of arts Savva Morozov (1862–1905) and others. 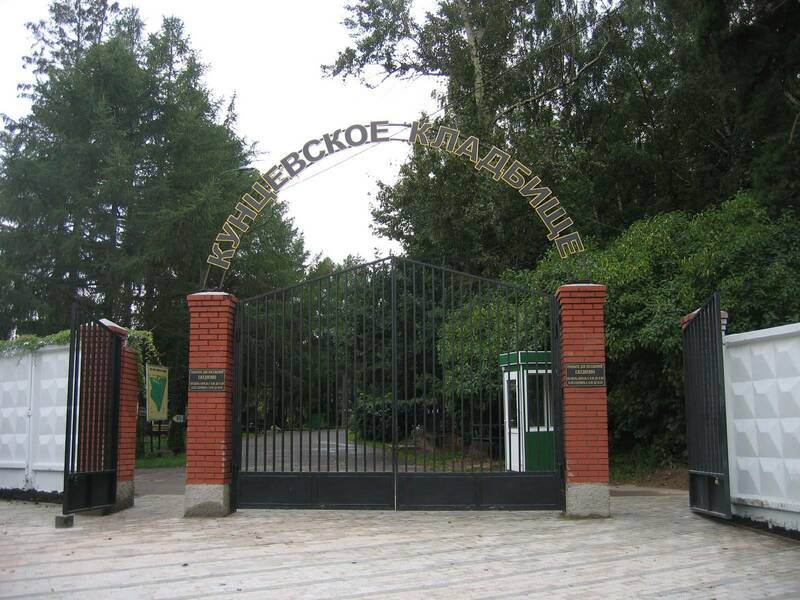 Pyatnitskoye CemeteryRussian: Pyatnitskoye kladbische or Пятницкое кладбище (Bld. 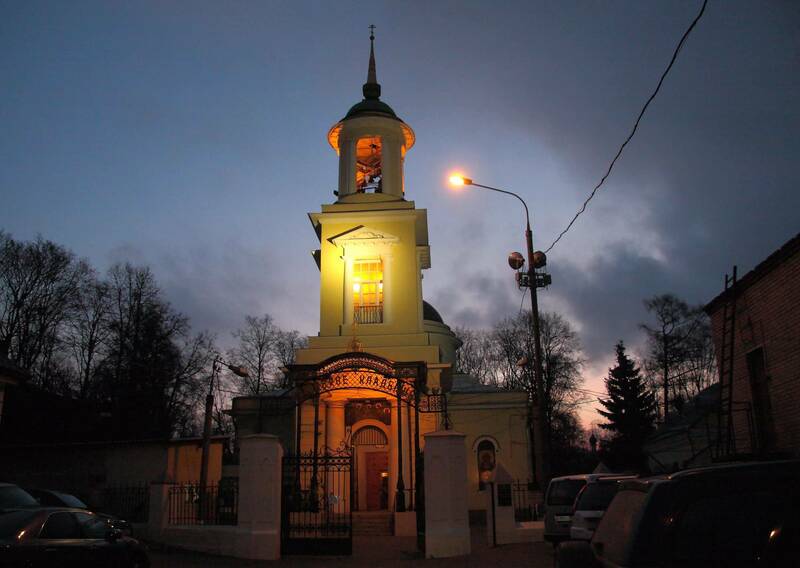 3, 5 Droboliteyny LaneRussian: Droboliteynyi pereulok or Дроболитейный переулок) is an area covered with well-preserved 19th-century merchant graves and two cemetery churches.